The flags represent the national identity of each country. 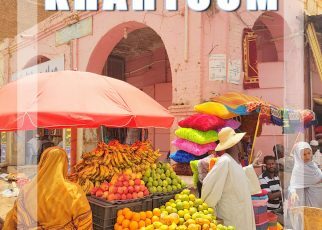 Each color has a meaning in the history of nations. European flags vary on color and meaning. 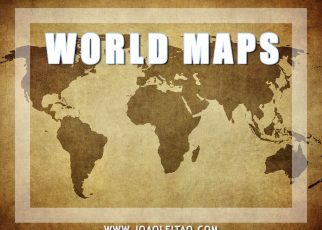 On this page, I list all flags of Europe and their colors. 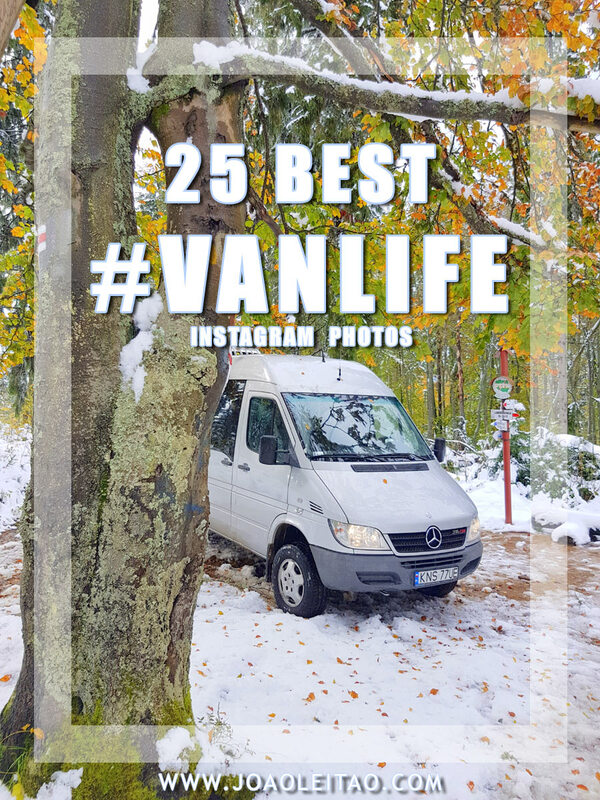 Copyright: I own the copyright usage of these images. You cannot use text or image without permission. Meaning of the flag of Albania: Red symbolizes hardiness, bravery, strength and courage shown by the people and the willingness to defend freedom. The black two-headed eagle in the center represents government and church, two important part in Albania’s history and national identity. 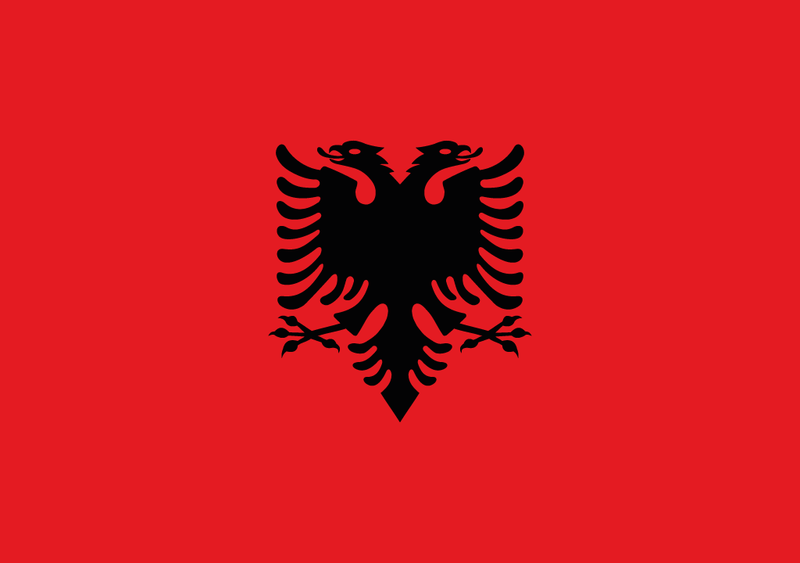 The flag of Albania is simple: red with a black two-headed eagle in the center, taking up a large portion of the flag. The flag was adopted in 1912 when Albania became independent from the Ottoman Empire. The image of the two-headed eagle as a symbol of Albania relates to George Kastrioti, also known as Skanderbeg, an Albanian general who after serving the Ottoman Empire returned to his castle in Kruje, from where he led an unsuccessful battle for the independence of Albania. There he hoisted the flag with his family crest, that includes this eagle and an inscription that reads: “I don’t bring you freedom, I’ve found freedom among you”. The symbol was inspired by the flag of the Byzantine Empire and It was used by several aristocratic families in Albania in the Middle Ages. Since 1912, the flag has been slightly changed: during King Zog’s ruling (1928-1939), a small yellow crown was added over the eagle; during the Italian occupation in the World War II, the crown was replaced by two torches; between 1945 and 1992, the five-point star associated with communism was also part of the flag. 3 colors: blue, yellow, red. 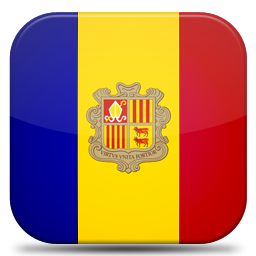 Meaning of the flag of Andorra: The colors represent Andorra’s independence from France and Spain. 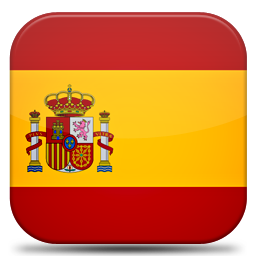 Blue and red were taken from France; red and yellow were taken from Spain. The coat of arms contains the motto at the bottom: “Strength United is Stronger”. The current flag of Andorra was created in 1866. It has three vertical stripes, almost the same size of one another: one dark blue in the left, one yellow in the middle and slightly wider than the other ones, and one red in the right. The colors are a blend of the colors in the Spanish and the French flags. Meaning of the flag of Bosnia and Herzegovina: Blue represents truth, dedication, justice, and integrity; yellow stands for liberality. 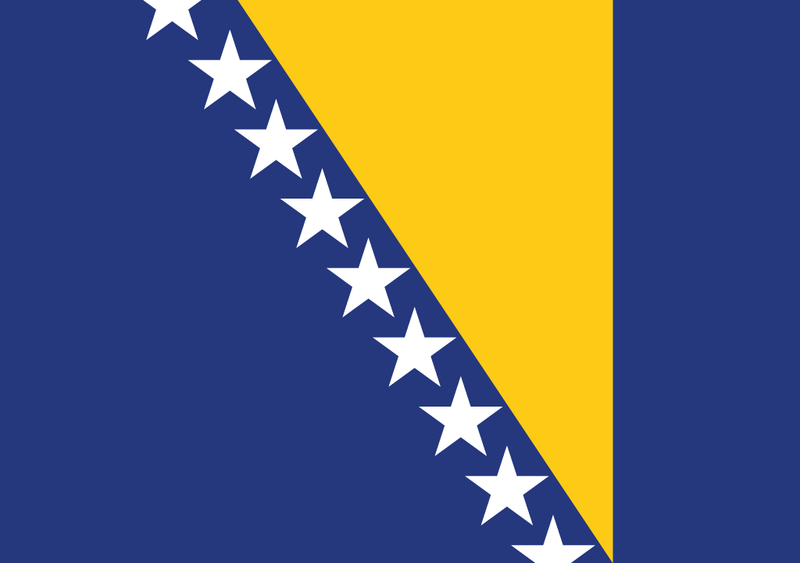 The three points of the triangle symbolize the three nations of Bosnia: Serbs, Bosniaks, and Croats. The white stars represent Europe. 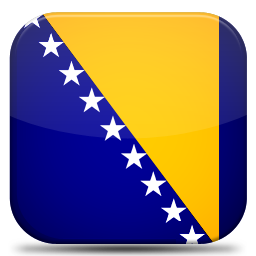 The flag of Bosnia and Herzegovina drifts away from the typical design of national flags. It has three colors: dark blue, yellow, and white. Blue is the primary color that doubles as the background for the overlaid elements: a slanted yellow triangle with the hypotenuse turned to the bottom left vertex of the flag, and a row of seven stars and two half-stars, one in each end. The right side of the flag is all blue, top to bottom. This flag didn’t have a historical past and was created by political convention in 1998, following peace brought by the Dayton Agreement and the creation of a new country. The vertexes of the triangle represent the three main groups of Bosnia and Herzegovina: Serbians, Croatians, and Bosniaks. The stars represent Europe and appear cut in both ends of the row to convey a sense of infinity intentionally. The blue also represents Europe, but all other colors represent neutrality and peace. During the Civil War, the Bosniak majority used the coat of arms of the Kotromanić Dynasty (1377-1463) as their flag. After peace was restored, the country needed a flag with which the Serbians and the Croatians would also feel good about. Despite different options, that was never possible and the current flag was chosen and imposed by the United Nations High Representative for Bosnia and Herzegovina. 3 colors: red, white, blue. 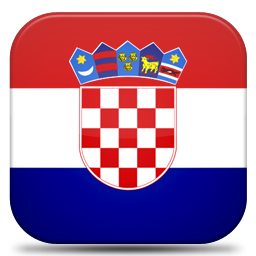 Meaning of the flag of Croatia: All three colors (red, white, blue) were taken from the flag of imperial Russia. In the flag of Croatia, red symbolizes the blood spilled in the fight for independence and the zeal and enthusiasm of the martyrs in fighting the colonial authorities; white represents the peaceful and amiable nature of Croatians; blue stands for belief in God. The national coat of arms in the center of the flag. The checkerboard of thirteen red and twelve white fields is a symbol of the Croatian Kings. It has a crown of shields of five historical regions which formed the Republic of Croatia: Croatia, Dubrovnik, Dalmatia, Istria, and Slavonia. 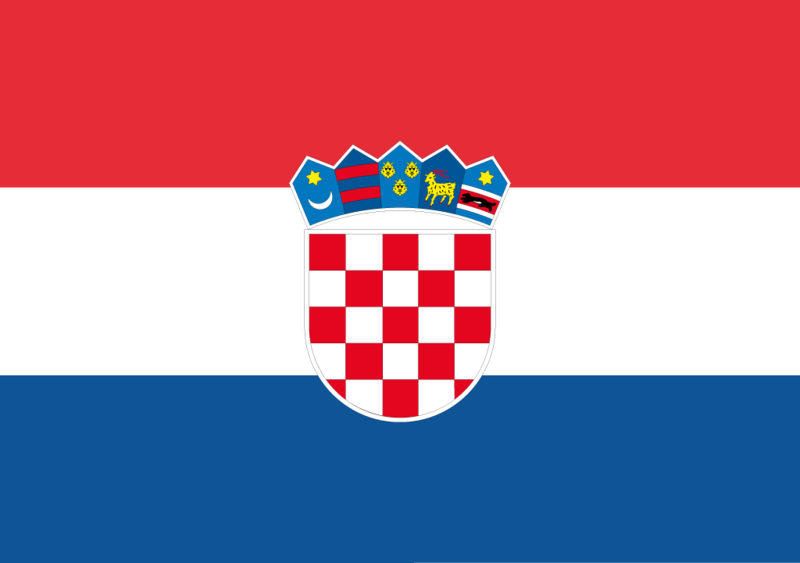 The flag of Croatia has three horizontal stripes, red, white, and blue, top to bottom. In the center, Croatia’s coat of arms: a white and red checkered pattern, crowned by the symbols of each one of the regions in the country, Croatia, Dubrovnik, Dalmatia, Istria, and Slavonia (left to right). The choice of colors relates to Pan-Slavism and is common in different Slavic countries, including Russia. On the other hand, and this is hardly a coincidence, the same colors appear in the historical flags of the former kingdoms that are presently Croatia: the Kingdom of Croatia, Kingdom of Slavonia, and the Kingdom of Dalmatia. The current flag is not much different from the one used before in Croatia when it was part of the SFR Yugoslavia, except the past flag had a communist star instead of the coat of arms. 3 colors: green, white, red. Meaning of the flag of Italy: The red and white parts of the flag come from the official colors of the Milanese flag and the green represents the Civic Guards of Milan. Green represents hope and joy; white stands for peace and honesty; red depicts strength and courage. There is another theory for the colors in the Italian flag which attributes red to the violent struggle to become a unified and independent nation, green to the landscapes, white to the snow-capped Alps. 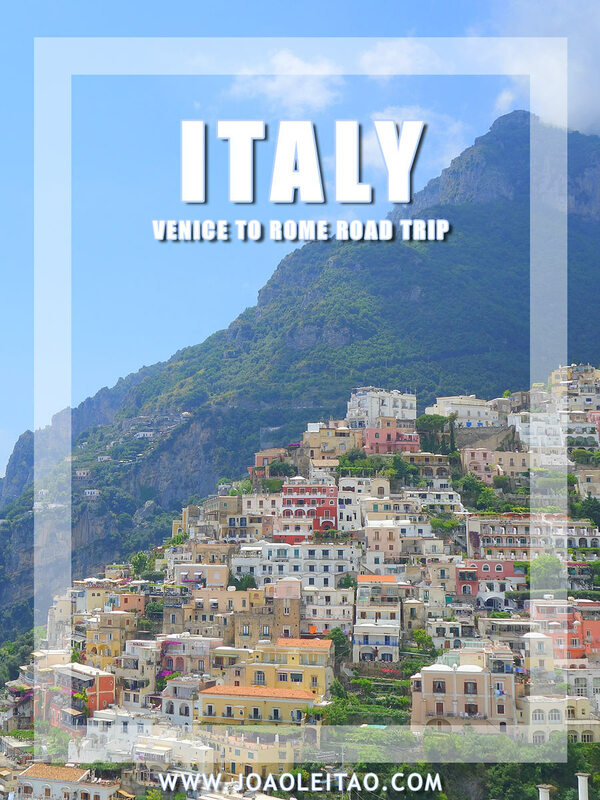 Italy is one of the many countries that adopted the tricolored design of the French flag, with three same-sized vertical stripes. The flag of Italy has one green stripe on the left, one white stripe in the middle, and one red stripe on the right, and it’s very easily confused with the Mexican flag. The Italian tricolor flag was brought to what would be Italy by Napoleon in 1796, with many speculating about the meaning of the color green, which replaces the blue in the French flag. Some claim it represents the green island of Corsica, Napoleon’s homeland, while others claim it’s linked to the Milan militia uniforms or the color of Lombardy. It was the flag of the Cispadane Republic in 1797, but some records show that set of colors was adopted before in 1794, by a group of revolutionary students at the University of Bologna. That is, however, a controversial possibility. 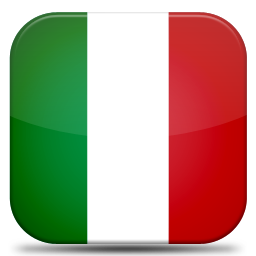 Whatever the origin, the Italian tricolor has been in use since the end of the 19th century with some variations. The current design has been the official flag since 1948. 3 colors: red, blue, white. Meaning of the flag of Serbia: The colors blue, white and red of the flag of Serbia are the ones in the conventional Slavic color schemes, named Pan-Slavonic shades. They were inspired by the flag of Independent Russia. This is one of the Slavic countries that has a flag clearly inspired by the Pan-Slavic movement, with a color scheme that reminds us of the Russian flag. Since all is connected, we have to dig deeper and pinpoint the origin of the Russian flag in the Netherlands, a country with one of the oldest flags in the world. The flag of Serbia has three colors in three horizontal stripes: red on top, blue in the middle, and white on the bottom. When compared with the flags of other countries that follow the Pan-Slavic movement, the colors are reversed. Despite the connection to the movement that exists in several Slavic countries, the fact is that the flag of Vladislav I, who ruled in the mid-13th century, looks a lot like the current Serbian flag, except for the missing white stripe and the coat of arms. In the 14th century, the two-headed eagle associated with the Serbian Empire was added. The flag has a coat of arms in the center, with a white two-headed eagle over a red background and a shield with a golden crown. Despite Serbia’s long history, it’s one of the most recent flags in the world. It was adopted formally in 2004, but it looks like a natural evolution from previous flags of independent Yugoslavia and independent Serbia during the Ottoman Empire (1815) and the end of the World War I (1918). 3 colors: white, blue, red. Meaning of the flag of Slovakia: Blue, white and red are conventional Slavonic shades which represent Slavonic harmony and independence. The coat of arms is an adapted edition of the Hungarian coat of arms, symbolizing Slovakia’s previous connection with that country. The cross of the arms stands for Christianity and the mountains represent the Mountains as Tatra, Fatra, and Matra. The flag of Slovakia is one more of the flags based on the colors of the Pan-Slavic movement, inspired by the Russian flag. It has three colors in three horizontal stripes: white on top, blue in the middle, and red on the bottom. The ancient Slovakian national symbol is placed in the middle on the left side and consists of a double white cross over three hills. The background is red and the hills are blue, meaning that the colors in the coat of arms match the ones in the flag stripes. That representation depicts the emerging of Christianity in the Carpathian region. The flag first appeared, without the coat of arms, in the revolutionary period of 1848, when the Slavic regions, which were a part of the Austro-Hungarian Empire, were swept by a series of nationalist movements adopting the colors of Russia as their own (the only independent Slavic nation at that time). After World War I and the dissolution of the Empire, Slovakia and the regions that are now part of the Czech Republic became Czechoslovakia. After the end of the communist regime in that country in 1989, began a separation process that was finished in 1993. As a part of that process, then Minister of Internal Affairs commissioned a new flag to local flag artists Ladislav Čisárik and Ladislav Vrtel in 1990. , but when the flag was approved on 1 March 1990, it didn’t include the symbol, just the three colors. In 1992, the symbol was added to avoid mistakes with the flag of Slovenia and Russia. 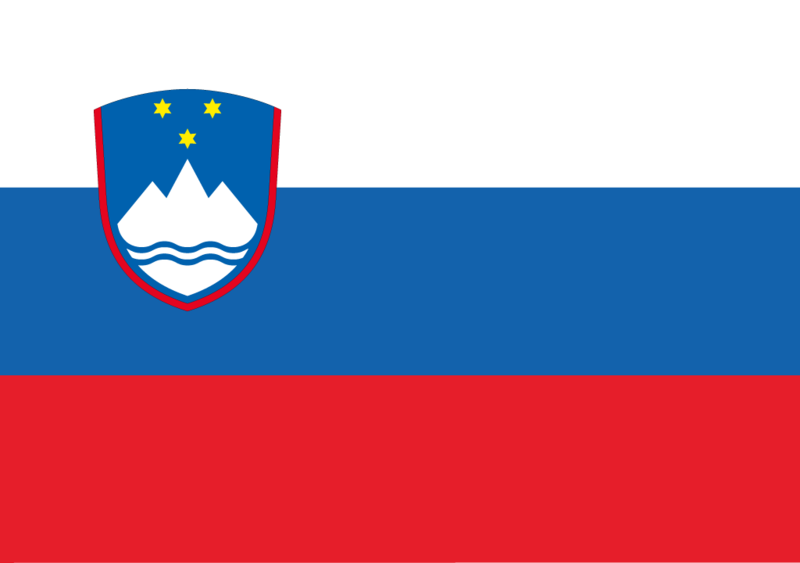 Meaning of the flag of Slovenia: White, blue and red are traditional Slavic colors initially adopted by Slavic nations influenced by the Russian flag, an independent Slavic country then. The coat of arms of Slovenia has three stars representing independence. 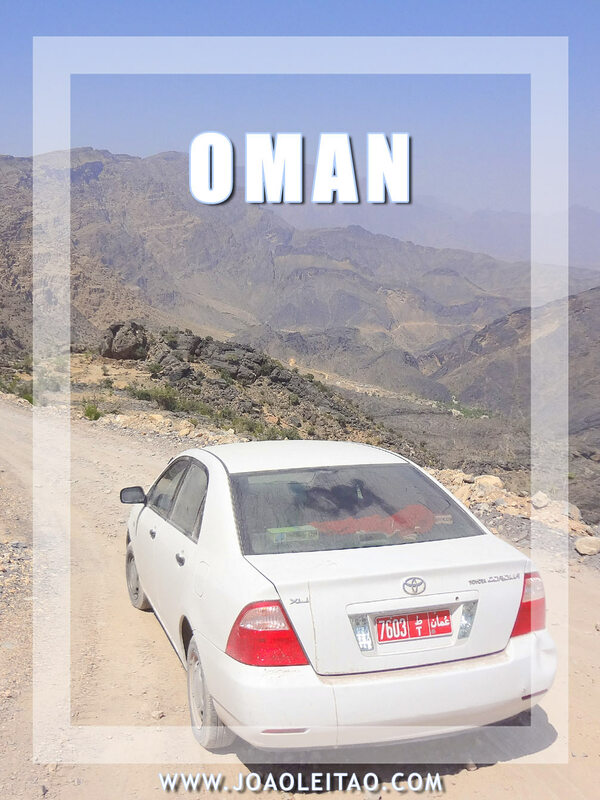 The two wavy blue lines at the bottom of the mountain symbolize the country’s rivers which flow into the sea. 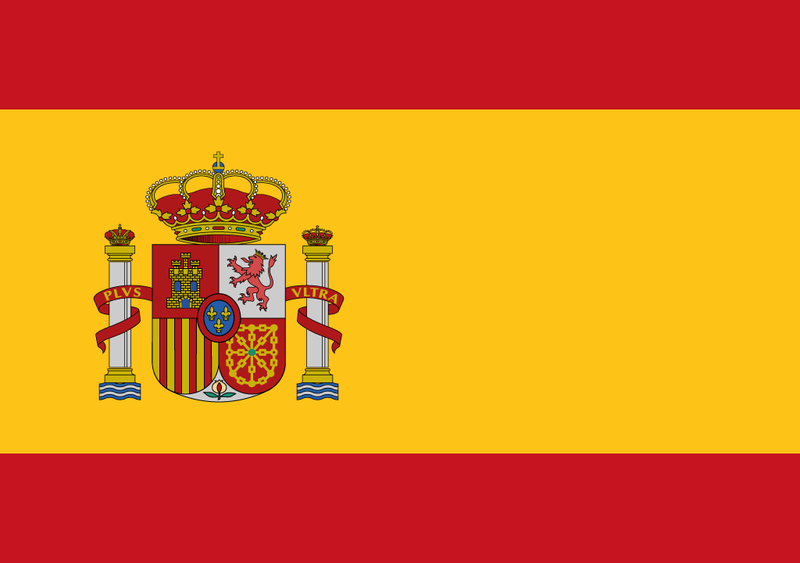 Meaning of the flag of Spain: The red and yellow are probably originated in one of the original coats of Spanish kingdoms: Castile, Leon, Catalonia/Aragon, Navarre. In the Spanish flag itself, the coat of arms has two crown-topped pillars of Hercules representing Gibraltar and Ceuta with red banners displaying the motto in Latin, “PLUS ULTRA” (“More Beyond”), in reference to Columbus’ discovery of the New World. The four quarters of the shield show the badges of the original Spanish Kingdoms. In the center is the emblem of the reigning Spanish Royal Family, House of Bourbon, a blue oval with a red-edged border containing three fleurs-de-lis. The pomegranate at the bottom of the shield represents Grenada. 3 colors: white, orange, green. 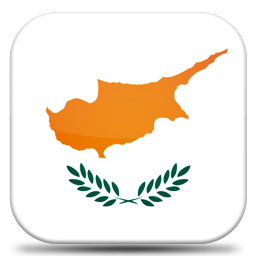 Meaning of the flag of Cyprus: The white field of the background has a copper-orange island in the center, representing the abundance of copper ore in the country. Under the island, there are two olive branches which symbolize the peace and harmony which the country has been trying to negotiate between the Greek and the Turkish communities. That is why the Constitution of Cyprus forbids the use of a cross or crescent and blue (Greek) and red (Turkish) colors in the Cypriot flag. 3 colors: green, red, yellow. 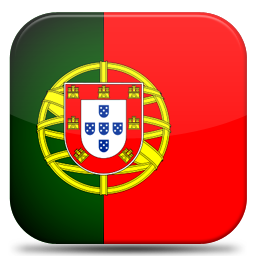 Meaning of the flag of Portugal: Red represents the Portuguese uprising in 1910; green symbolizes optimism. The coat of arms with Portugal’s conventional shield includes Five blue shields representing the conquest over five Moresque kings and the five dots and cross signify Christianity. There is a navigation device at the back of the coats of arms to represent Prince Henry the Navigator, who initiated the marine expedition of Portugal. 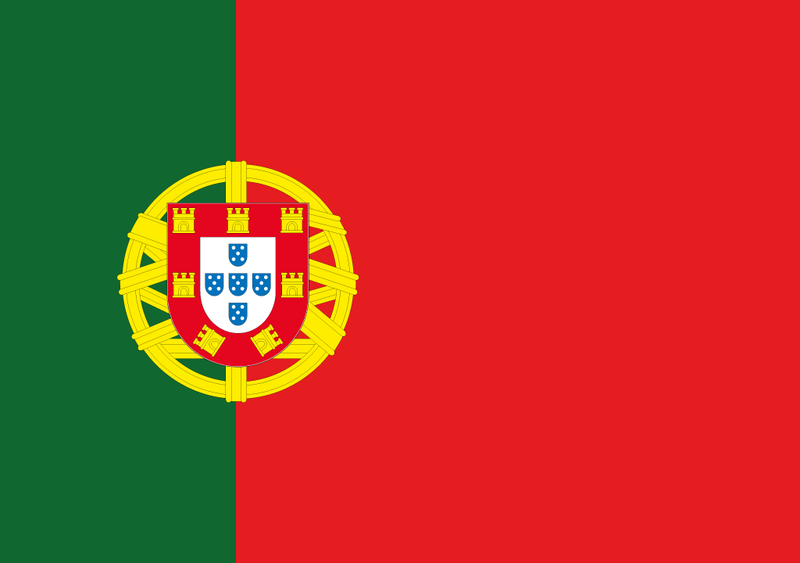 The flag of Portugal is divided into two main areas: a smaller green area on the left and a larger red area on the right. In the center, where both colors come together, there’s a unique symbol with an armillary sphere (associated with one of the most important times for the country, the Age of Discoveries) and Portugal’s coat of arms, a connection between the monarchy that ended in 1910 and the new age of the Republic. The five blue shields represent the five wounds of Christ and the seven castles represent the military victories when the country was created. The primary colors before the Republic were light blue and white since then replaced by the current ones. The new flag of Portugal was hoisted for the first time at Praça dos Restauradores in Lisbon and adopted on 1 December 1910. A committee chose the new symbol of Portugal under the direction of João Chagas, that included members like painter Columbano Bordalo Pinheiro, journalist João Chagas, and writer Abel Coelho. After studying several options, they chose the current flag. However, the colors were only interpreted during the Estado Novo era. At that time the green officially became a representation of hope and the red represented the blood shed in the name of the country. Meaning of the flag of San Marino: Blue represents the sky; white stands for the mountains and snow on the top of Mt. Titano, San Marino’s highest point. The coat of arms in the center has a shield, flanked by a wreath, a crown underneath and on top a scroll bearing the word “Libertas” (liberty). 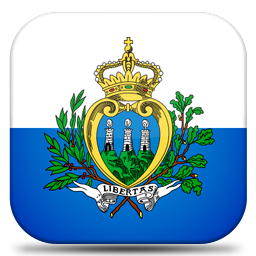 This small republic in the middle of Italy has a flag with two horizontal stripes: one white on the top and one light blue on the bottom, with the San Marino coat of arms in the center. The coat of arms has three towers, each one of them decorated with an ostrich feather. Those are in fact the towers in the San Marino castle, called Guaita, Cesta, and Montale. There’s a golden crown over the tower, a symbol of the country’s autonomy and independence, and the coat of arms is circled by a wreath of laurel and oak, with just one word underneath: Libertas, which means Freedom. The colors of the flag, white and blue, represent peace and freedom respectively. San Marino is an ancient political territory and already had a flag in 1465, although it’s entirely different from the current one. The current flag was adopted on 6 April 1862, with practically no changes since then. 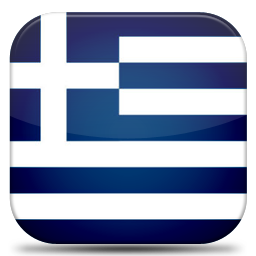 Meaning of the flag of Greece: Blue and white refer to the sky and sea and the Greek cultural heritage. These colors were probably used to represent Greek gods and goddesses like Achilles and Athena, as well as during Byzantine and Ottoman rule. The blue and white cross symbolizes the Greek religion, Eastern Orthodox Christianity. The nine stripes stand for the syllables in the Greek saying, “Freedom or Death” (Eleftheria i thanatos), the nine letters in the Greek word for “freedom” (Eleftheria), and also perhaps the traditional nine Greek Muses. The beginnings of the modern Greek flag date back to 1821, when the Greek independentists hoisted a blue flag with a white cross, as opposed to the flag with a crescent moon of the Ottoman Empire. That flag, simpler then, developed into the current design and was adopted as a national flag in 1822. The original flag was blue with a white cross. The new flag had a smaller cross in the top left corner and four white stripes and five blue stripes. It’s said the flag has as many stripes as the nine syllables of the motto “Eleftheria i Thanatos,” which means “Freedom or Death” in Greek. Some claim it’s one stripe for each letter in the word “Freedom” (in Greek, of course), while others claim each stripe stands for each one of the nine muses. Historically speaking, there are many possible stories to explain the roots of this flag, but none of them have been proved. 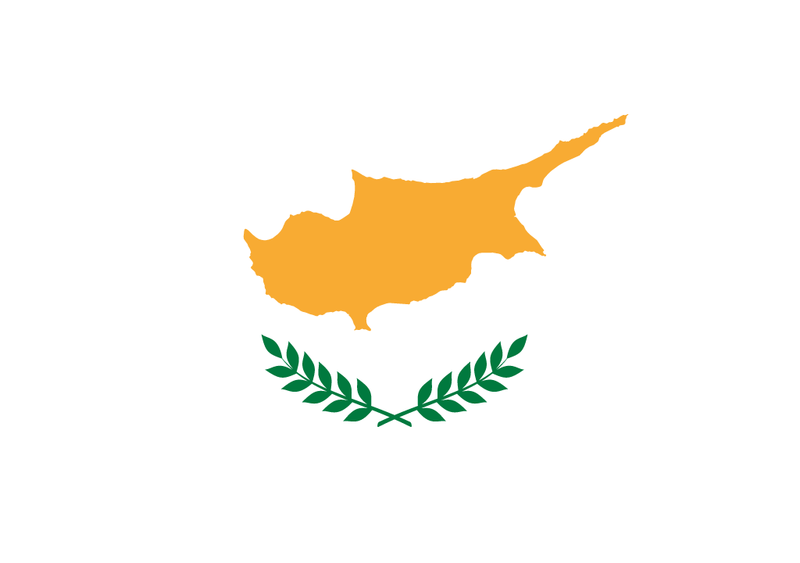 The powerful Cretan family Kallergis used the same flag, inspired by the Byzantine emperor Nicephorus II Phocas, who ruled at the end of the 10th century. 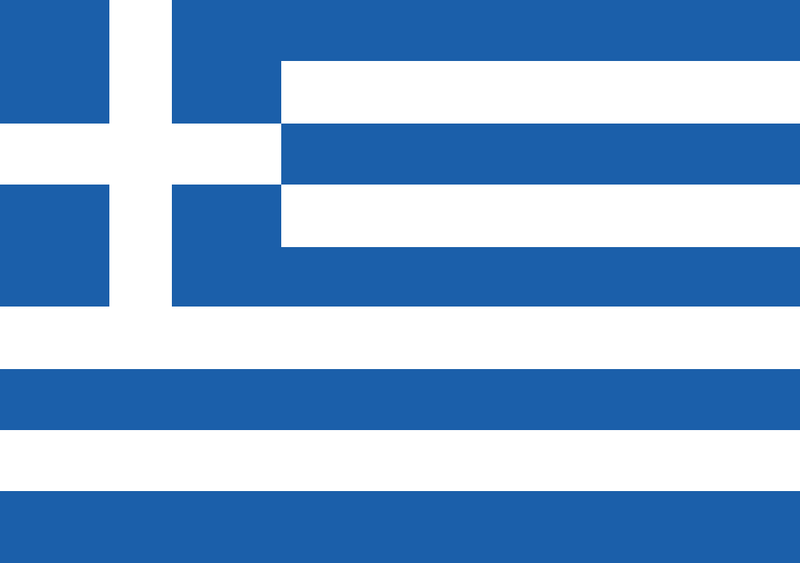 The blue represents the sky and the ocean, a symbol of Greece and its islands, and the white represents the pure intentions of the independentists revolutionaries. The cross represents the importance of the Orthodox Church in Greek society and its role in preserving national unity even under the long Ottoman occupation. The shade of blue has been changed several times over the years, but the Greeks still call their flag “Galanolefci” (blue and white). 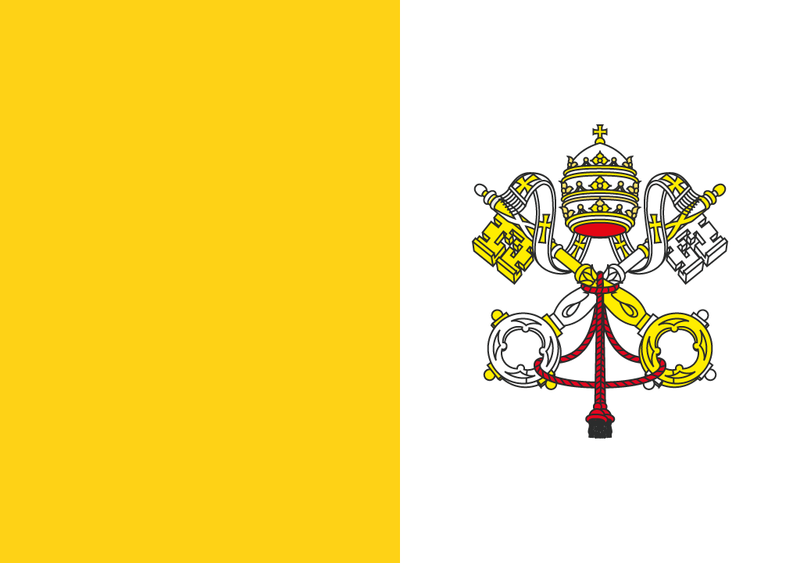 Meaning of the flag of the Vatican: Yellow and white represent the gold and silver of the crossed keys of Saint Peter, also shown in the flag. 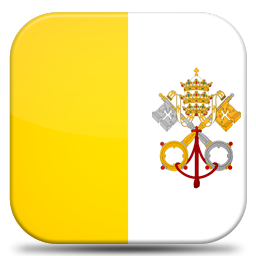 Yellow symbolizes the religious strength of the pope; white shows his universal authority. The two keys underneath the papal tiara are the keys to heaven, connected by a red cord. 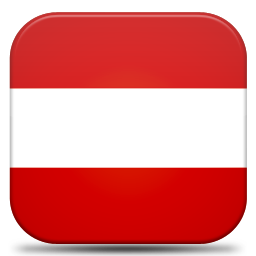 Meaning of the flag of Austria: The red and white colors on the Austria Flag symbolize the white coat worn by the Duke of Austria during a battle, which was soaked in blood after the fight. The flag of Austria is one of the oldest in the world, and it’s easy to identify: three stripes stacked horizontally, with one white stripe in the middle and two red stripes in the top and the bottom. 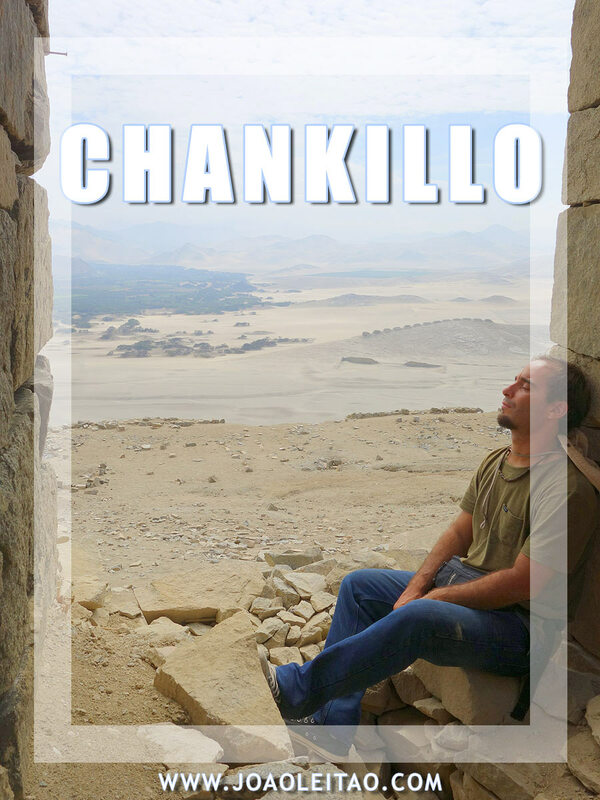 Its origin is based on the legend of when Duke Leopold V took part on a military expedition to the Holy Land. It’s been told that he fought so fiercely in the Siege of Acre (1291) that his white shirt was completely soaked in red blood, except for the middle part under his belt. After the battle, the duke realized he had lost his flag, and hoisted his shirt in its place. Fact or fiction, what matters is that the descendant of the duke adopted the same colors for the flag in the 13th century. If you want a more pragmatic approach to the history of this flag, it’s best to deep dive into the complex history of medieval heraldry, and the connections to the family of Duke Ottokar IV of Styria, which in turn may have been inspired by the banner of Adalbero, Duke of Carinthia (11th century). 3 colors: black, yellow, red. Meaning of the flag of Belgium: All the colors in the Belgium flag (black, yellow and red) represent the country’s coat of arms. Black symbolizes the shield; yellow is for the lion; red stands for the lion’s claws and tongue. 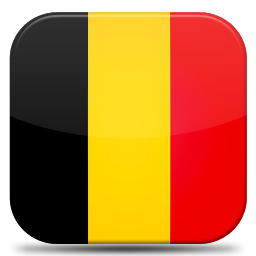 The flag of Belgium has three vertical stripes in three colors, black on the left, yellow in the middle, and red on the right. Those are the colors of the Duchy of Brabant, the same used during the failed Brabant Revolution (1789-1790). The Belgian flag with the current colors appeared almost spontaneously after the events of the Brussels Opera (25 August 1830), when the French flag was removed from Brussels and replaced by one very similar to the present flag of Belgium. The only difference was that the stripes were horizontal rather than vertical, as they are today. After the country became independent, the flag remained, changed later to the current design allegedly to avoid similarities with the Dutch flag. On 12 October 1831, the final Belgian flag became official. The proportions of the flag of Belgium are somewhat odd, with a 13:15 ratio. 3 colors: blue, white, red. Meaning of the flag of France: The tricolor flag in present days is a combination of the national color of France, white, with the blue and red of the French militia after the French Revolution. The flag of France has three vertical stripes of the same width, one blue on the left, one white in the middle, and one red on the right. This graphic design was the inspiration of many other flags over the centuries, mostly in European countries but also in different continents. The colors in the French flag date back to the revolutionary movement at the end of the 18th century. At that time, blue, white, and red were adopted by the revolutionaries fighting the end of the monarchy in France, taking over the Bastille, and freeing the political prisoners. That day is usually associated with the birth of modern, republican France. The blue and the red were symbolic colors of Paris, associated with Saint Denis and Saint Martin. The white, a traditional color of the French monarchy, was added to give the flag a national, all-embracing touch. On the other hand, you can also link the three colors to the three words of the revolutionary motto: blue for freedom, white for equality, and red for fraternity. The current flag, known as “Tricolore” (French for tricolor), has been used as it is since 1794, with a small interruption from 1815 to 1830. Meaning of the flag of Liechtenstein: Blue symbolizes the radiant sky; red represents the embers in the fireplace during evening gatherings. 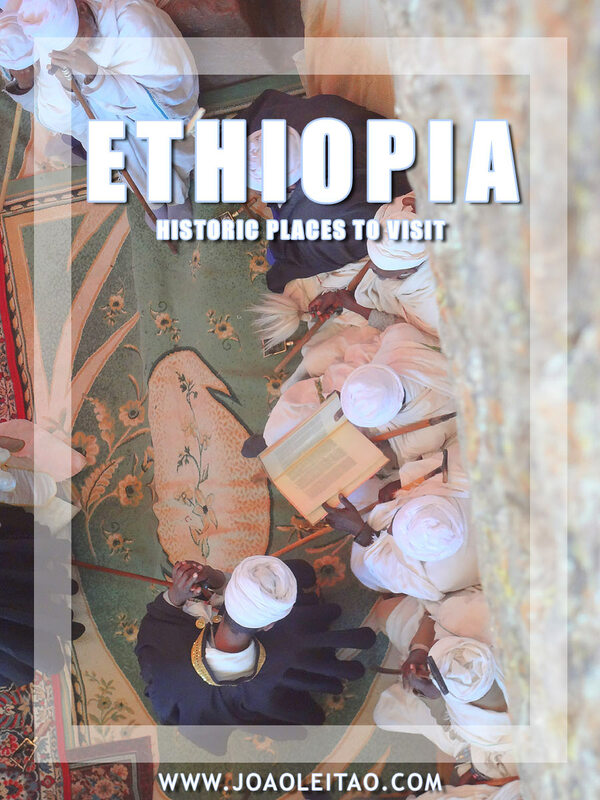 The crown shows that the people, country, and the princely House are all united in their hearts and spirits. 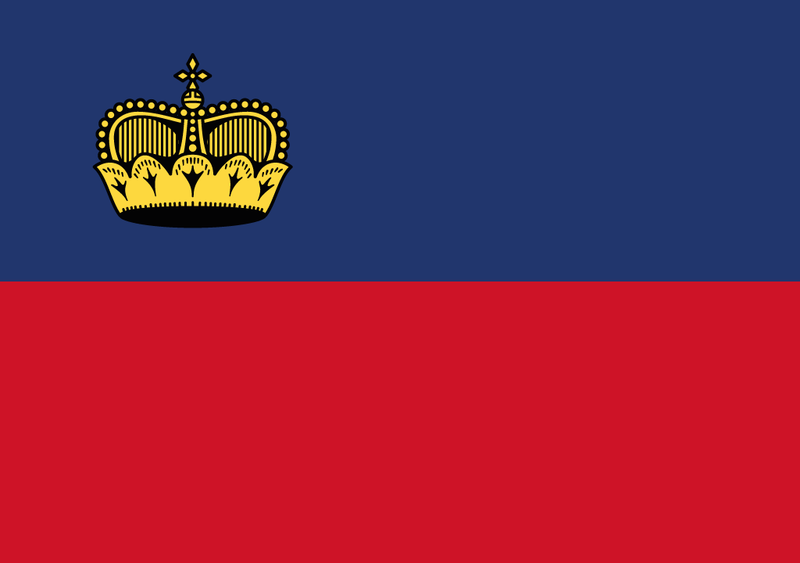 The flag of Liechtenstein is split into two horizontal halves, a top blue one and a red bottom one. The blue represents the sky and the red symbolizes the fires lit in the evenings. 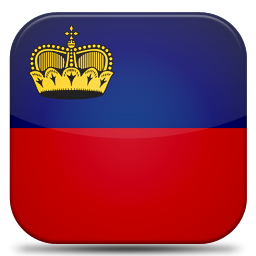 A crown was added in 1937 so that Liechtenstein wasn’t mistaken by Haiti in the Berlin Olympic Games. The Caribbean country’s flag looked precisely the same. The gold crown stands for the physical and spiritual unity of the small nation, the State, and the ruling family. Although the flag has been used since Liechtenstein became an independent country in 1719, it wasn’t until 1921 that the current design was formally approved. Meaning of the flag of Luxembourg: The colors red, white, and blue probably came from the coat of arms of Luxembourg’s counts and dukes. The selected blue is aimed at differentiating this flag from that of the Netherlands. 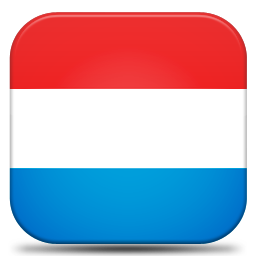 The flag of Luxembourg has three colors in three same-sized horizontal stripes: top red, middle white, and bottom light blue. It’s a color combination very close to the one you’ll find in the flag of the Netherlands, which is explained by the connection between the two countries in the 19th century. Luxembourg became independent in 1867, but the current flag was only adopted in 1972 and included the same colors as the ones in the Grand-Duke’s coat of arms. The colors of the flag had been informally used since 1830, anyway, and the current flag first appeared in 1848, unofficially. 3 colors: black, red, yellow. 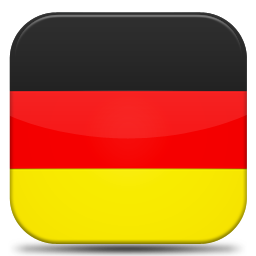 The flag of Germany has been changed many times in the course of the country’s history and there are two sets of colors associated with the nation and that compete with one another. The one we can see on the flag today, black, gold, and red, and a second one of black, red, and white. The current color scheme first appeared in 1778 and became especially relevant during the revolutionary movements in 1848. The Frankfurt Parliament proposed a flag with those three colors, part of an attempt between 1848 and 1850 to establish a unified and democratic Germany with a constitutional monarchy. 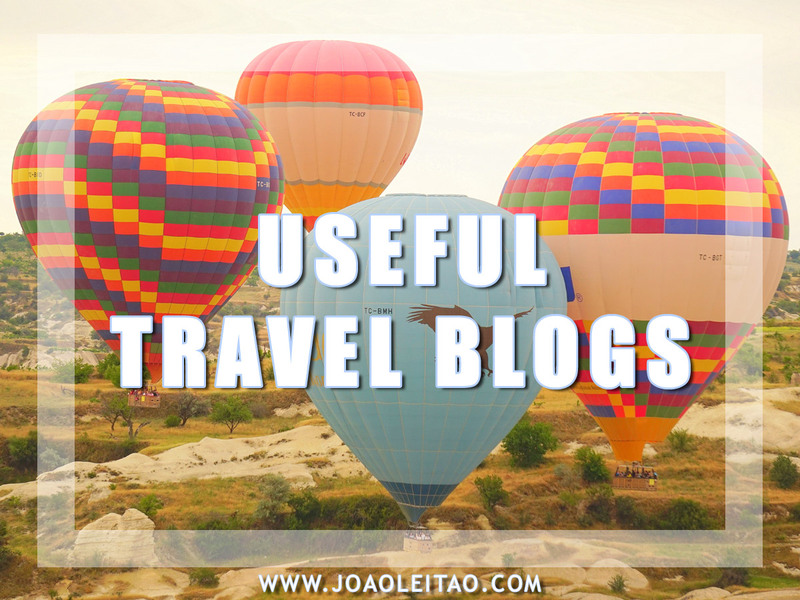 There are several theories behind the colors and their origin. They might be related to the colors of the Jena Students’ League or with the uniforms of the Lützow Free Corps. Whatever the reason, the colors are always linked to liberal and reformist political forces. The current flag was adopted after World War I when the Weimar Republic was established. Nazis taking over power meant the temporary end of the flag, that returned after the World War II in both German countries: the Federal Republic of Germany (West Germany) and the German Democratic Republic (East Germany), controlled by the Soviet Union. In 1959, East Germany added its national coat of arms to the flag, which included communist symbols. After the reunification of Germany in the early 1990s, the Western Germany flag became the official flag for the country. Meaning of the flag of Romania: The red, blue and white colors represent the two princedoms as Walachia and Moldavia, which unified to constitute Romania in the year of 1859. The flag of Romania has three colors in three vertical stripes: a dark blue one on the left, a yellow in the middle, and a red on the right. 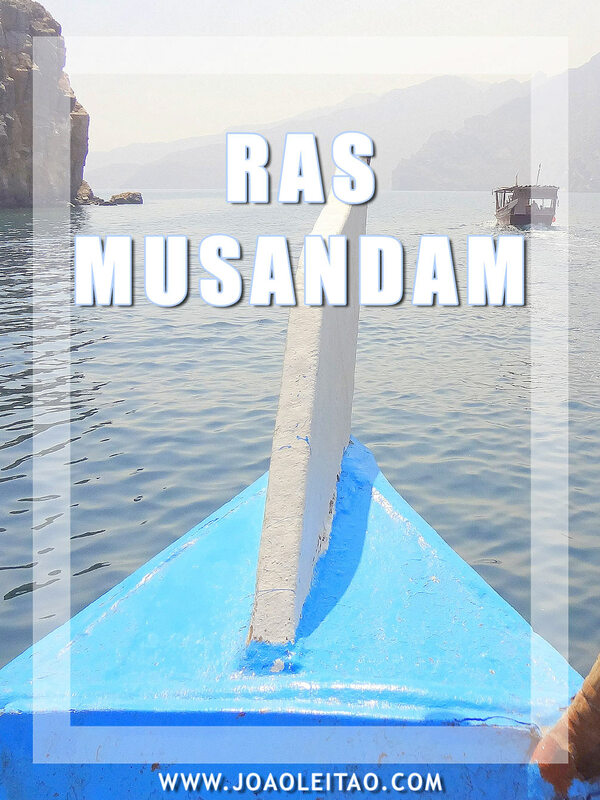 These colors have been the colors of the main regions of Romania, Wallachia, and Moldova, from a long time. The flag was adopted for the first time in 1834, in Wallachia. However, it underwent some changes, and the version you see at the hands of the revolutionaries in 1848 has the same colors but in three horizontal stripes. That year, probably influenced by the French flag, the Romanian flag was defined but not used for a long time since the revolution was hushed. The flag used in 1866 and 1948 looked a lot like the current one, but with a communist symbol in the middle that was included in 1948 and stayed until 1989. After the end of communism in the country, it was frequent to see flags with a hole in the middle because the people wanted to get rid of the symbol of a regime they were trying to defeat. There’s not an official explanation of the flag’s colors, so the interpretation of the flag of Romania is entirely subjective. A possible interpretation links the blue to freedom, the yellow to justice, and the red to fraternity. Meaning of the flag of Russia: The Russian Federation flag contains the Pan-Slavic colors of red, blue and white. Since there is no official meaning appointed to the colors by the Russian government, several theories exist. One refers that the colors came from the Grand Duchy of Moscow and depict Saint George in a silver armor, on a white horse, wearing a blue cap on a red field. Another theory explains that white represents God, blue is for Tsar and red for peasants. Even another theory attributes white to a bright future, blue for clouded present and red for the bloody past. 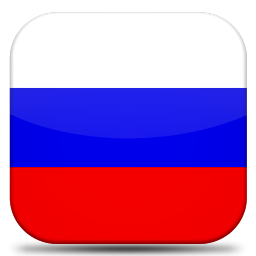 The current flag of Russia has three horizontal stripes: one white on the top, one blue in the middle, and one red on the bottom. The color scheme is associated with the Pan-Slavic movement and can be seen across many Slavic countries including Croatia, Czech Republic, Slovenia, and Serbia. Although this is the traditional flag of Russia, from 1917 to 1991, during the communist era, the Soviet Union had a red flag with the traditional communist symbol, the sickle and the hammer, in gold on the top left corner. In 1991, after the collapse of the Soviet Union and the end of the communist regime, the traditional Russian flag was reinstated. Russia had officially adopted the current flag in 1696, probably inspired by the flag of the Netherlands, one of the oldest flags in the world. Some say the flag appeared for the first time because of the Dutch shipbuilder, Butler, in charge of building the first Russian warship, Oryol. When asked what kind of flag did he want for the first ship of his Navy, Tsar Alexander I left that decision up to the Dutchman and told him to do the same as he would do in his home country. Butler than created the Russian flag, that was very similar to the one of his own country. Others claim that Peter I ordered a warship from the Netherlands in 1694 and when he saw the flag on the ship, adopted the same template but changed the color sequence. There are, naturally, several interpretations of what the colors on the flag represent but the most popular one associates white with honesty and decency, blue with loyalty and chastity, and red with courage, generosity, and love. 3 colors: red, blue, orange. 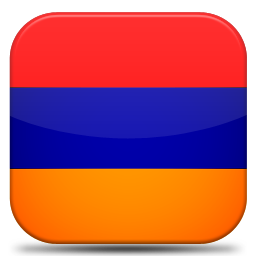 Meaning of the flag of Armenia: Red symbolizes the blood spilt by Armenian soldiers in war, maintenance of the Christian faith, Armenia’s independence and freedom; blue represents the will of the people of Armenia to live in peaceful skies; orange stands for the creative talent and hard working nature of the people of this country. 3 colors: white, red, green. Meaning of the flag of Belarus: Green represents the future, spring, hope, revival and the forests and fields of the country; red symbolizes the bloodshed in the past to achieve independence. The decorative pattern on the side represents Belarus’ rich cultural heritage, its spiritual continuity and the unity of its people. 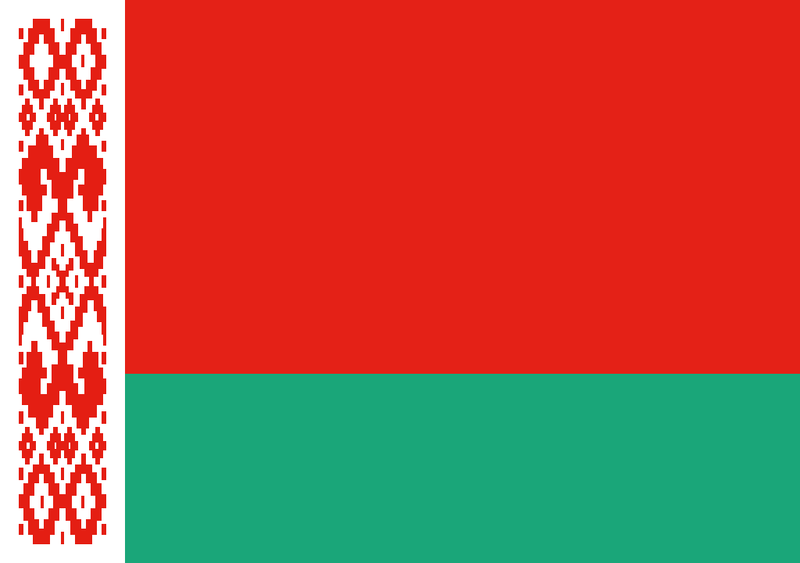 The flag of Belarus was adopted in 2012, following a design approved in the referendum of May 1995. The flag is split into three areas: the larger areas are two stripes stacked horizontally, one larger red on top of one narrower green. 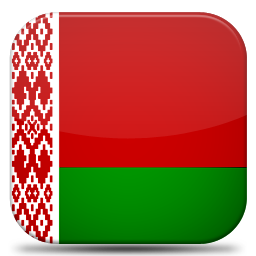 On the left side is the third section of the flag, a narrow vertical stripe decorated with a traditional Belarus pattern. It’s not much different from the flag of the Byelorussian SSR, formerly part of the Soviet Union. That flag was created in 1951 and the main differences were the communist symbols, such as the sickle and hammer and the five-point star. In addition to that, the traditional pattern had a lot more red than white. 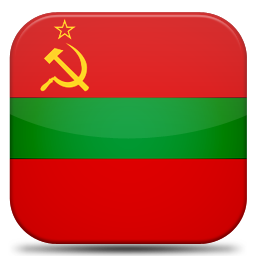 Right after Belarus rose as a country in 1991, they hoisted the flag used before they were part of the Soviet Union, which was primarily white with a horizontal red stripe in the middle. A final note about the traditional pattern: it was created in 1917 by Matrona Markevich, who was inspired by local plants and flowers. The original design didn’t make it to the present time, probably confiscated or destroyed by local authorities during World War II. Those patterns were embroidered and used on special occasions. 3 colors: white, green, red. 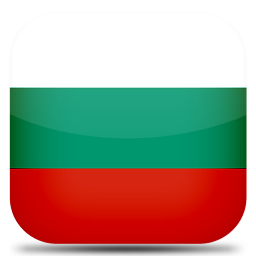 Meaning of the flag of Bulgaria: Green represents agriculture and greenery; white and red derived from the flag of Russia. The current flag of Bulgaria was adopted in 1991 after the communist regime fell. However, it’s not much different from the previous flag that was already a variation of the national flag defined in 1878, when Bulgaria became independent from the Ottoman Empire. This meaning of the colors can be loosely interpreted. 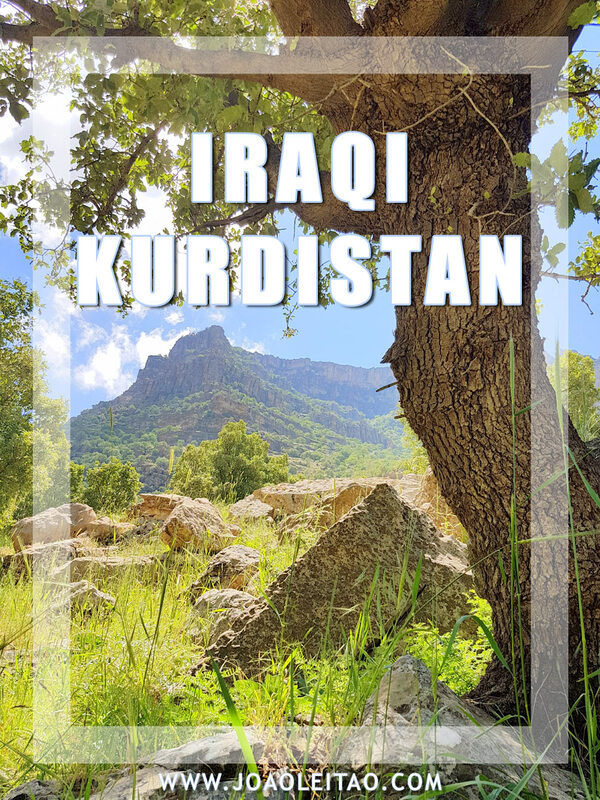 The white might represent peace, love, and freedom, green might represent the country’s soil fertility, and the red might represent the fight for independence and bravery. A communist regime ruled Bulgaria from 1944 to 1990, which added this symbol to the flag: a lion encircled by wheat and with a small five-point star over it. The colors and details of this symbol were slightly changed during the communist period. 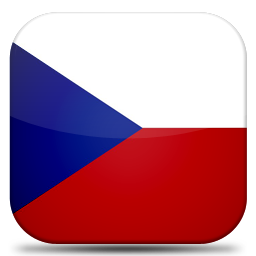 Meaning of the flag of Czech Republic: The colors used in the flag are those traditional of the region of Bohemia. White symbolizes the honest and peaceful nature of the people of the Czech Republic; red represents courage and noble patriotic spirit; blue stands for the Czech virtues of vigilance, truth, loyalty, perseverance. 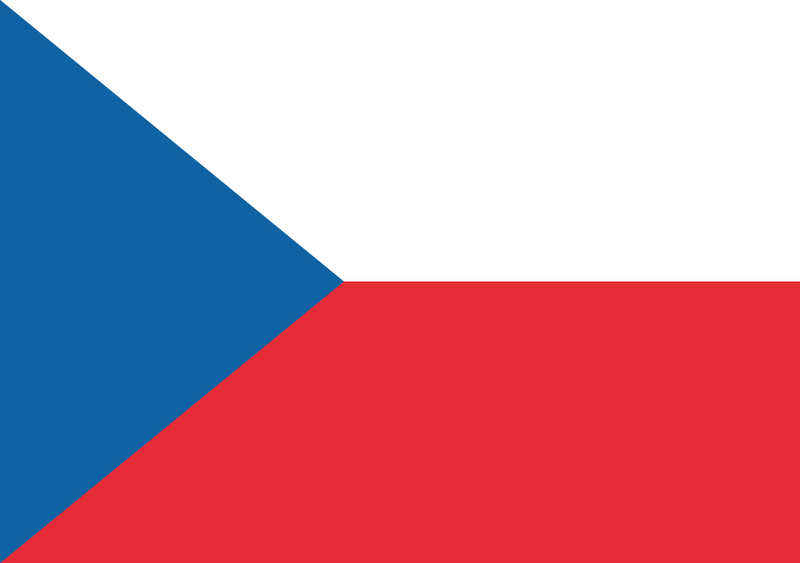 The flag of the Czech Republic has two stripes stacked horizontally, the top one is white, and the bottom one is red, and a blue triangle on the left laid horizontally resembling an arrow. The flag exists since 1920, and it’s the second flag of independent Czechoslovakia that rose from the ruins of the Austro-Hungarian Empire in 1918. Between that year and 1920, the country used a flag with a simple design, with two stripes stacked horizontally, white on top and red on the bottom, the same flag as the Kingdom of Bohemia that was part of the empire at the time. That means the current flag is based on that one, to which they added the blue portion in 1920. At the time of the communist ruling (1948-1989), the flag remained unchanged. When Czechoslovakia split, Czech Republic kept the old national flag while Slovakia created a new one, although the legal terms clearly stated that none of the countries could use common symbolic heritage after the separation. The flag stands for national union, and the Czech Republic is, in fact, a group of three regions: Bohemia, Moravia, and Silesia. It’s said that the blue that used to represent Slovakia now represents Moravia in the new flag. It’s also meant as a symbol of truth, loyalty, and the Czech’s determined and fair nature. The white represents peace and the red represents strength. 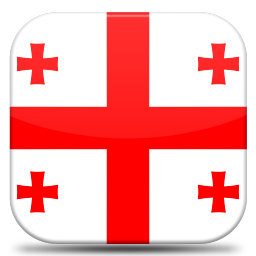 Meaning of the flag of Georgia: The flag of Georgia features a white background with a large red St. George’s Cross-centered over it representing the Georgian kingdom in the 5th century. In each of the four white rectangles created by the cross, there are 4 more red Blonisi crosses. All the crosses probably represent the five Holy Wounds that Jesus suffered during his crucifixion. The flag of Georgia is very distinguishable with a white background and a red St. George’s cross, like the one used in the English flag, splitting the flag into four sections. On each of the four sections, there are smaller crosses, also red. The origin of this flag is a political one: it used to be the flag of the National Movement, led by President Saakashvili, who became the leader of the country after the Revolution of Roses in 2002. 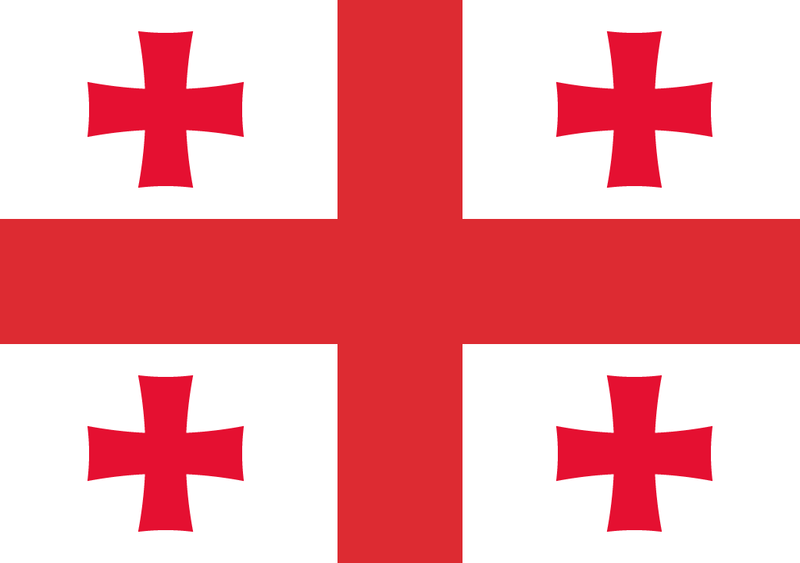 However, the flag goes back at least to the 14th century, when a Franciscan monk described it as the flag of the kingdom of Georgia. This is the last flag of several different flags used by Georgia in the last 120 years. In the 20th century alone, Georgia had seven flags including the ones imposed by the Soviet Union. After the collapse of the USSR and independence, Georgia began to use a mainly dark red flag, but it was never a popular option because it was always associated to the chaos and turmoil that followed independence. The current flag was adopted officially on 24 January 2004, and it’s one of the most recent flags in the world. 3 colors: red, white, green. Meaning of the flag of Hungary: Red represents valor and the noble patriotic spirit of the Hungarian people during the fight for independence, which caused significant bloodshed; white is for the faithful nature of Hungarians; green stands for agriculture and the hope for a better future. The flag of Hungary has three equally sized horizontal stripes: red on top, white in the middle, and green on the bottom. The flag first appeared in 1848 during the national freedom movement against the Habsburg Empire and was inspired by the tricolor design of the French flag. At that time, the colors meant the following: white represented freedom and loyalty, red represented strength and the blood shed for the country, and the green represented hope and land. The new Constitution, approved in 2012, defines what each color of the flag stands for strength, loyalty, and hope. 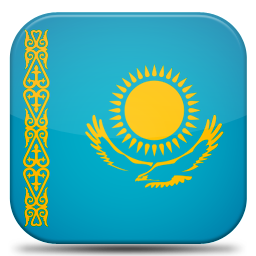 Meaning of the flag of Kazakhstan: The solid blue background means peace and unity of people living in Kazakhstan, as well as the infinite, pure sky. 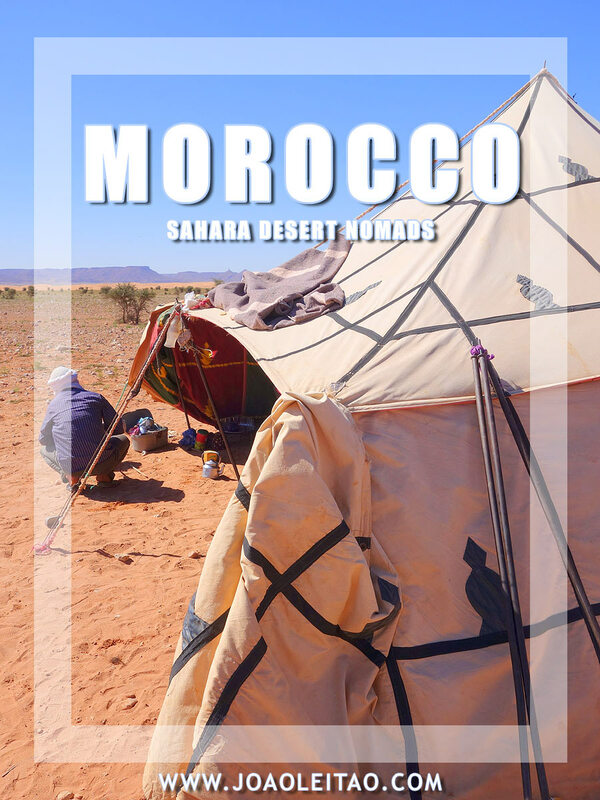 The sun represents the source of life and energy but is also a symbol of progress and movement for nomads. The silhouette of the sun is a symbol of well-being and abundance. 32 beams come out of the sun, shaped like a grain to symbolize abundance and prosperity. The eagle represents the power of the state and astuteness. Also, for people living in the steppe, this bird of prey symbolizes independence, freedom, aspiration and, at the same time, strength to overcome any obstacles and difficulties. 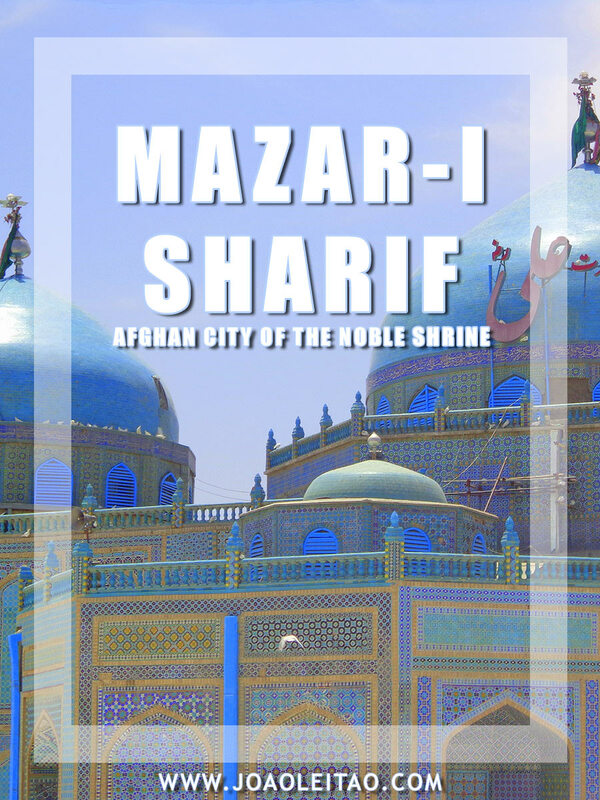 The ornament on the left identifies the culture and traditions of Kazakhstan. 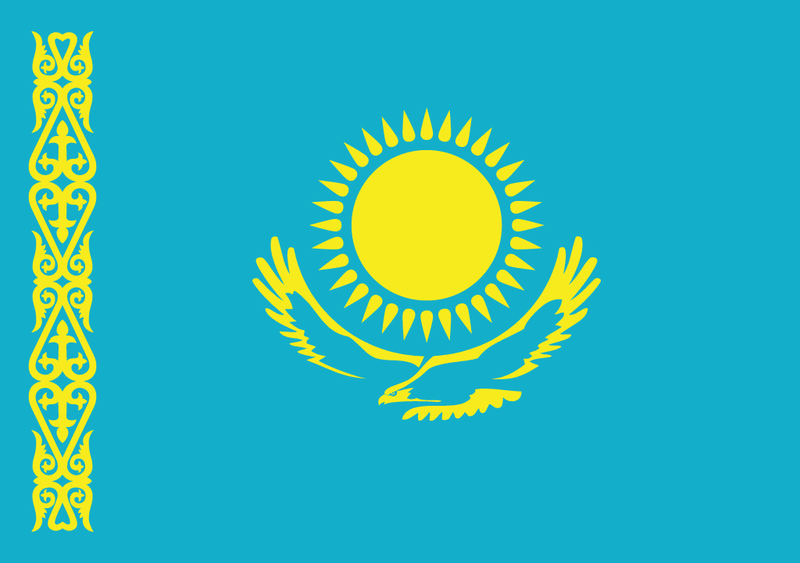 The flag of Kazakhstan is mainly light blue with a yellow symbol in the center: a steppe eagle, known locally as berkut, flying under a sun with 32 beams. On the left side, there’s a national pattern of Kazakhstan in yellow across the flag from top to bottom. 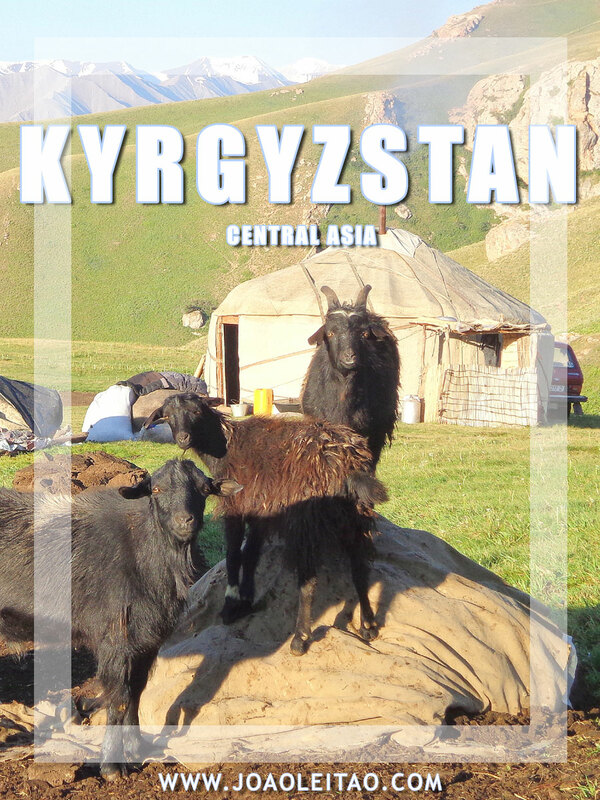 The shade of blue used in the flag is common among the nomadic people of Central Asia and has been always present in the flags of Kazakhstan. 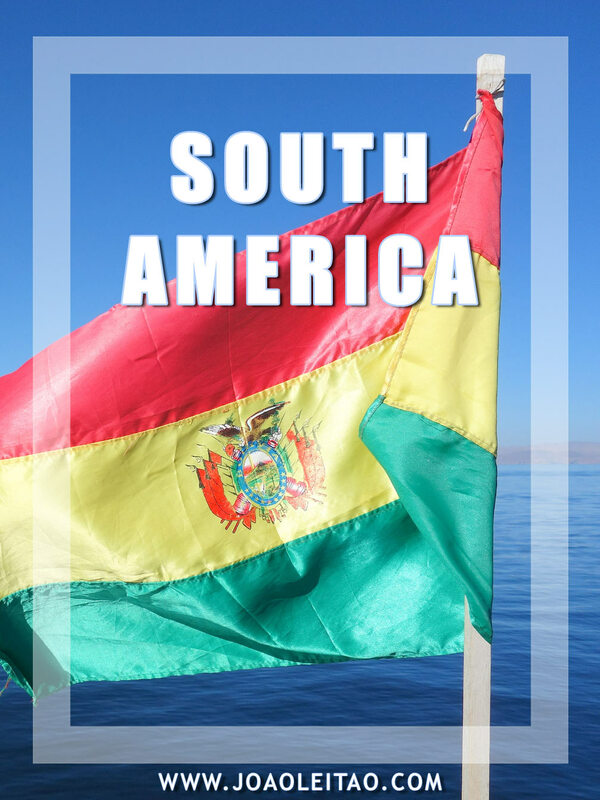 In the flag, it represents peace, freedom, ethnic and cultural union of all the people living in the country, that form a more significant, more complicated cluster of six different groups. The sun symbolizes energy and life, abundance and wealth. The eagle symbolizes the State, as a pillar of national independence, freedom, and an enabler of great flights towards the future. Although it’s a recent national flag, it’s inspired by ancient traditional symbols. It’s likely that the flag of the Kazakh Khanate wasn’t much different and had the same shade of blue. Even when the country was part of the Soviet Union the flag had a stripe with that same color, and over the centuries the flags of different tribes in the area featured a golden eagle. The current flag was officially adopted on 4 June 1992, about two years after the country’s post-Soviet Union independence. 3 colors: blue, ochre, white. Meaning of the flag of Kosovo: The starts represent the six regions in the country and the ochre shape is the shape of its territory. The flag of Kosovo looks complicated but is quite simple: it has a blue background, with the outline of the country’s map overlaid, and six white five-point stars that represent the ethnic and religious groups that live there (Albanian, Serbs, Turks, Gorani, Romani, and Bosniaks). Some claim the stars stand for something else, more complicated to explain: the six regions of what would be a Grand Albania, which would include current Albania, Kosovo, parts of contemporary Macedonia, Montenegro, Greece and the Preševo valley in the south of Serbia. The United Nations started a competition that had almost 1,000 applications, and the current flag was the winner, becoming the country’s official flag. 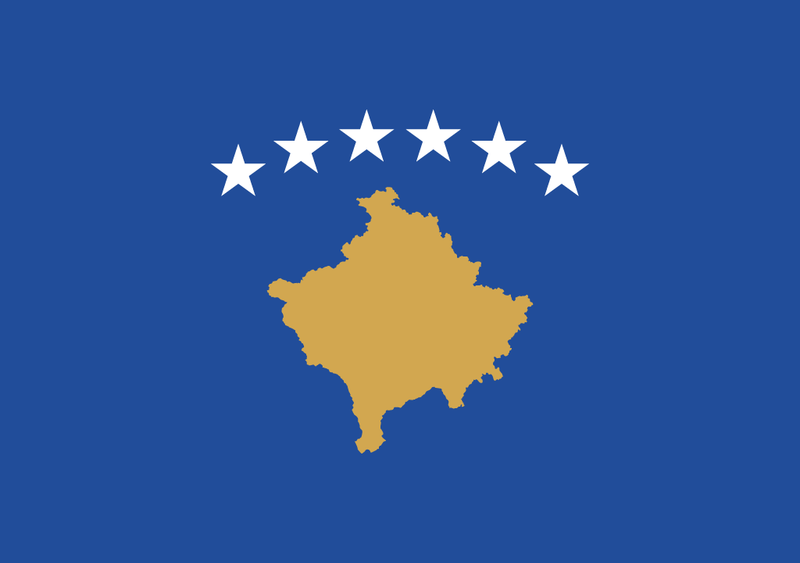 It was hoisted on 17 February 2008, when the independence of Kosovo was officially declared, to replace the UN flag that was used temporarily. 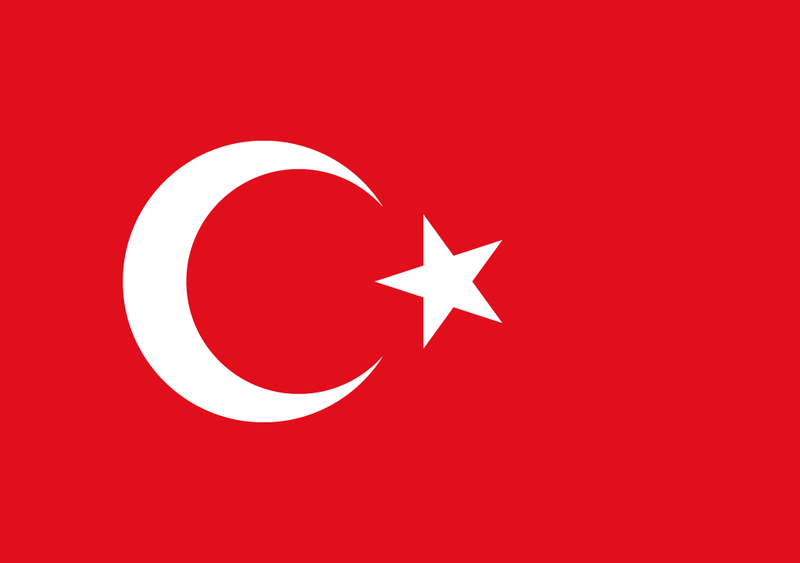 Muhamer Ibrahimi designed the current flag. Meaning of the flag of North Macedonia: Red and yellow on the flag take back to early Macedonian history and exist on the country’s coat of arms, which dates back to the middle ages. 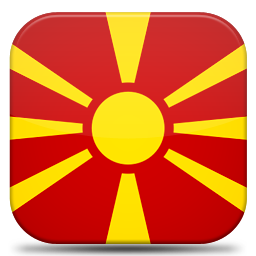 The centered sun in the flag has rays which go into each corner of the flag to depict “the new sun of Liberty” of the new Republic of Macedonia. 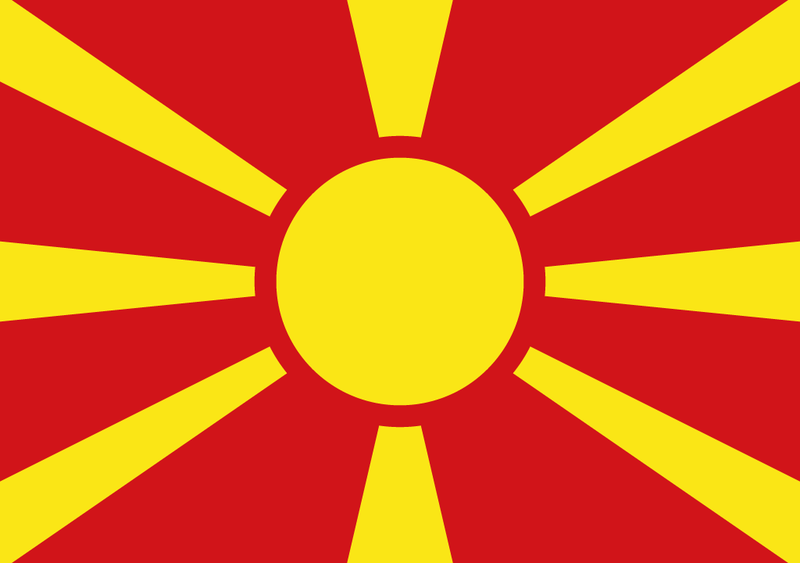 The flag of Macedonia has a graphic image of the sun, with a central circle with eight sunbeams. The background is red and the sun is represented in yellow. The current flag, designed by professor Miroslav Grčev, was selected from several applications in 1995, to replace another flag that had been adopted after the country became independent in 1992. That first flag was equally red, with an old sun symbol in the center, a representation of Ancient Greece. That flag had to be replaced due to diplomatic pressure from Greece, that claimed that symbol was exclusively Greek and to only be used by Greek Macedonia. The flag’s symbol is connected to Macedonia’s national anthem and this specific verse: “Today, the new sun of freedom is born over Macedonia. The Macedonians will fight for their own rights”. 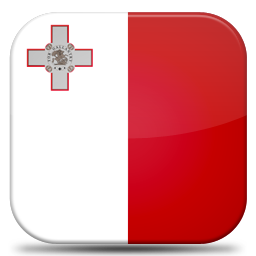 Meaning of the flag of Malta: The white and red colors in the flag of Malta was taken from the checkered banner of Count Roger of Sicily. Another explanation claims that these two colors are those of the Knights of Saint John, who ruled Malta from the 16th to the 18th century. The cross at the upper left corner was awarded in 1942 by King George VI of the United Kingdom to the inhabitants of Malta for their exceptional bravery and audacity in World War II. The flag of this small Mediterranean country is divided into two, half white (left) and half red (right). In addition to that, there’s a George Cross on the top left corner with the inscription in English “For Gallantry,” a distinction given to Malta by the United Kingdom for their stoic resistance to World War II bombings. The flag was adopted right after the country’s independence in 1964 and was inspired by the flag of the Norman family Hauteville, who conquered the island in the 11th century. According to the legend, when returning to Normandy Roger de Hauteville gave the Maltese a piece of his flag as recognition for taking part in the fight against the Muslims. That ripped piece of fabric looked like the flag’s current design. 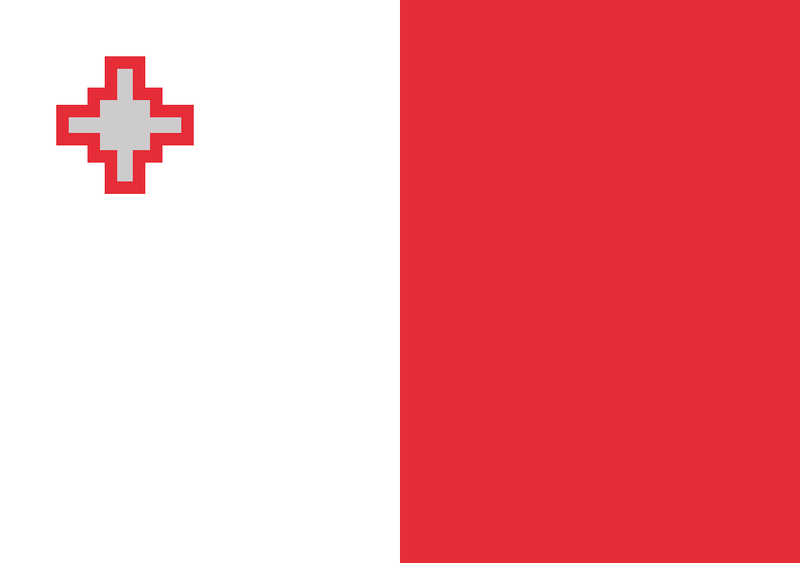 It’s most likely, however, that the Malta flag was inspired by the influence of the Knights of the Order of Malta in the country’s history. The Order’s flag was red with a white cross, that determined the flag on the island during British ruling. 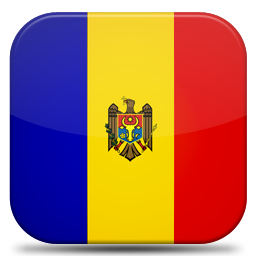 Meaning of the flag of Moldova: The colors in the flag represent those in the country’s coat of arms, which also lies in the middle. This coat of arms has an eagle holding a shield on its breast, a cross in its beak, an olive branch in the right claw and a scepter in the left claw. On the shield, there is a decorated picture of aurochs. There’s a clear connection between the flags of Moldova and of Romania, which is only natural considering the bonds between both countries. It’s a three-colored flag with vertical stripes, blue on the left, yellow in the middle, and red on the right. That is the same description for the flag of Romania. 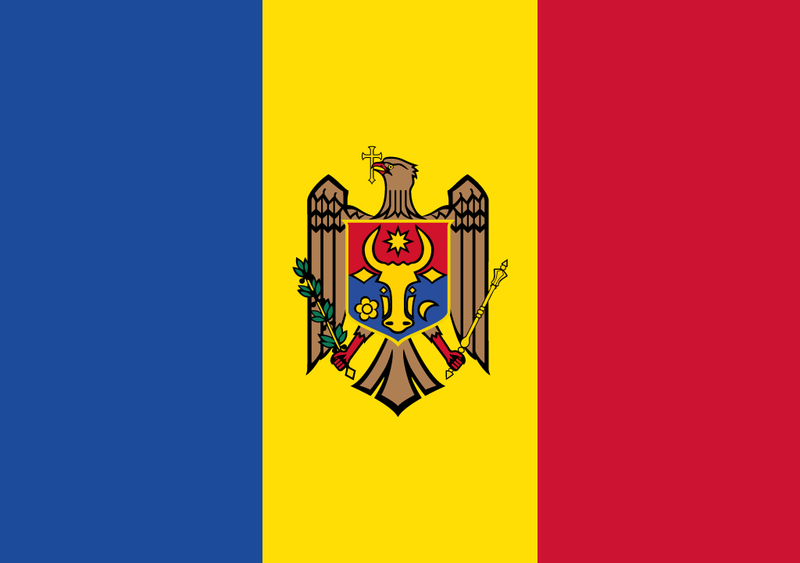 The difference in the flag of Moldova is the national coat of arms, in the center, over the yellow band: a golden eagle, carrying a small cross on its beak, decorated with the image of a bison conveying the idea of strength and power, and holding an olive branch, a symbol of peace, and a scepter. One small detail: the blue is slightly darker in the Romanian flag. The current flag was adopted in 1990 after the Soviet Union collapsed and the country became independent. Meaning of the flag of Monaco: The red and white were chosen after the heraldic colors of the ruling Grimaldi family. They appear as a diamond-shaped pattern on the shield of the family’s coat of arms. The flag of the Monaco principality is divided into two halves, stacked horizontally. The top is red and the bottom is white. The colors are the same as the Grimaldi family, dating back to the 14th century, which reflects the influence of that family on Monaco. That connection was forgotten for a long time because of the ownership of lands that now belong to Monaco: after the revolution, France annexed Monaco and it became part of Sardinia. It returned to France in 1861 as an independent state. 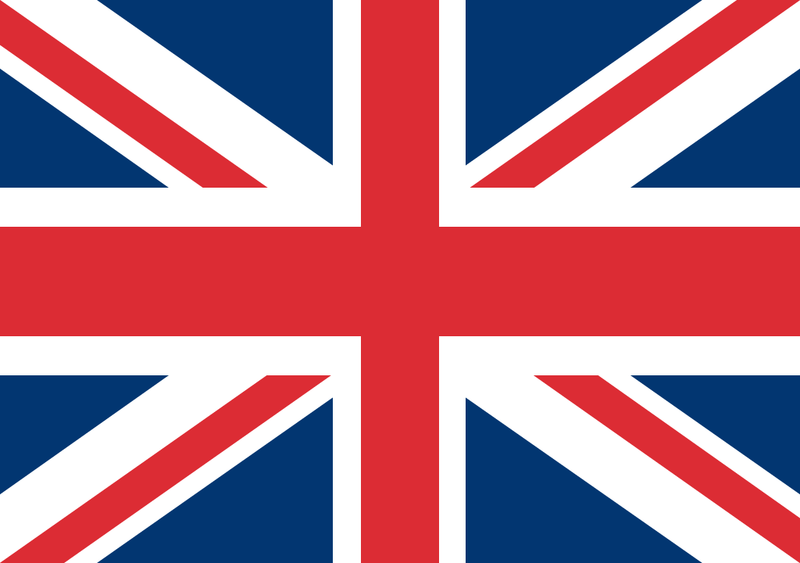 The current flag was officially adopted by Prince Charles III on 4 April 1861. 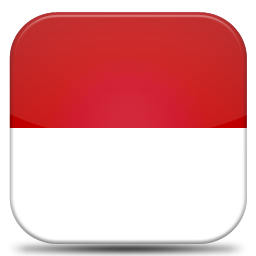 The flag is very similar to the Indonesian one, a choice to which Monaco strongly opposed to in 1945. 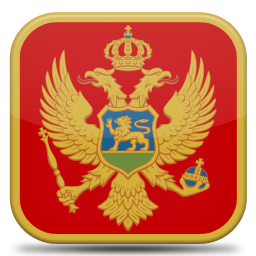 Meaning of the flag of Montenegro: The red field is bordered by a narrow yellow stripe with the Montenegrin coat of arms centered, consisting of a crowned double-headed golden eagle which symbolizes the unity of church and state. The eagle holds a golden scepter in its right claw and a blue orb in its left; the breast shield over the eagle has a golden lion on a green field in front of a blue sky (the lion is the symbol of episcopal authority, who ruled Montenegro for three and a half centuries. 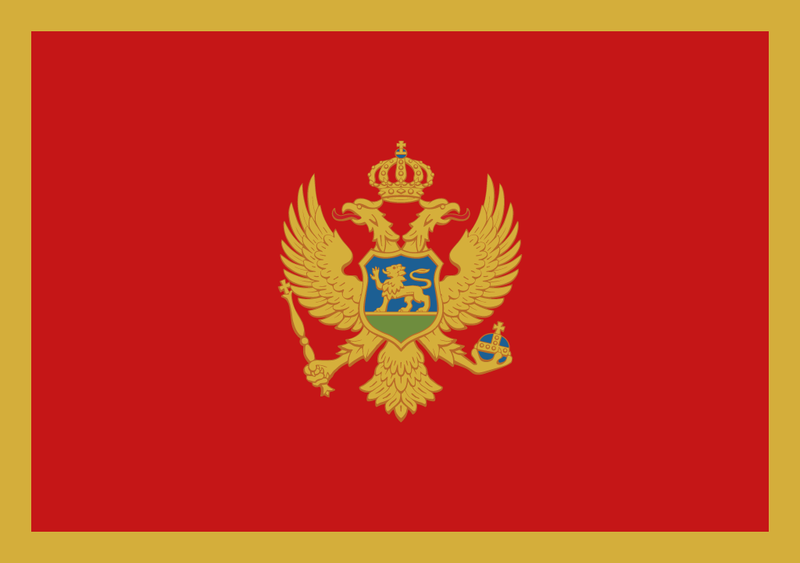 The flag of Montenegro is red, with a gold frame, and the national symbol, mainly gold too, in the center: a two-headed eagle with a crown, a royal sphere in one claw and a scepter in the other claw. It holds a shield with a lion over a blue and green background. The flag seems to have been inspired by the flag of the powerful Petrovic family, used as a national symbol from 1852 to 1905. After that date, and after a series of political changes, all Montenegro symbols adopted the Pan-Slavic colors (red, blue, and white). The process to adopt the current flag started in 2004 and ended in 2006. Meaning of the flag of Netherlands: The red (originally orange and then changed for unclear reasons), white and blue colors are based on the heraldic colors (coat of arms) of Prince William of Orange, the leader of the fight for Dutch independence. 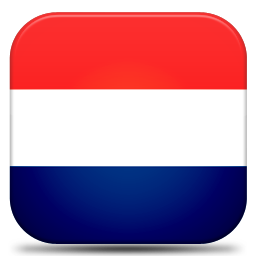 The flag of the Netherlands, also known as “Prince’s Flag,” has three colors in three horizontal stripes: red on top, white in the middle, and blue on the bottom. It strongly resembles the flag of Luxembourg. The background story of this flag is peculiar: there are records showing its use by William Prince of Orange in 1572 while fighting the Spanish. At the time, and following the family’s tradition, the top stripe was orange and not red. The change came later when the Dutch ships sailed out to explore the world and orange wasn’t a highly noticeable color at sea. In addition to that, the orange tended to turn red, so the color was eventually replaced. Fun fact: most people think that the French flag was the inspiration for all other tricolored flags, but the Dutch flag is the oldest of them all. The Dutch flag inspired the French and the Russian flags, and the latter passed on this influence to Slavic countries’ flags. The flag of the Netherlands is one of the oldest flags in the world. 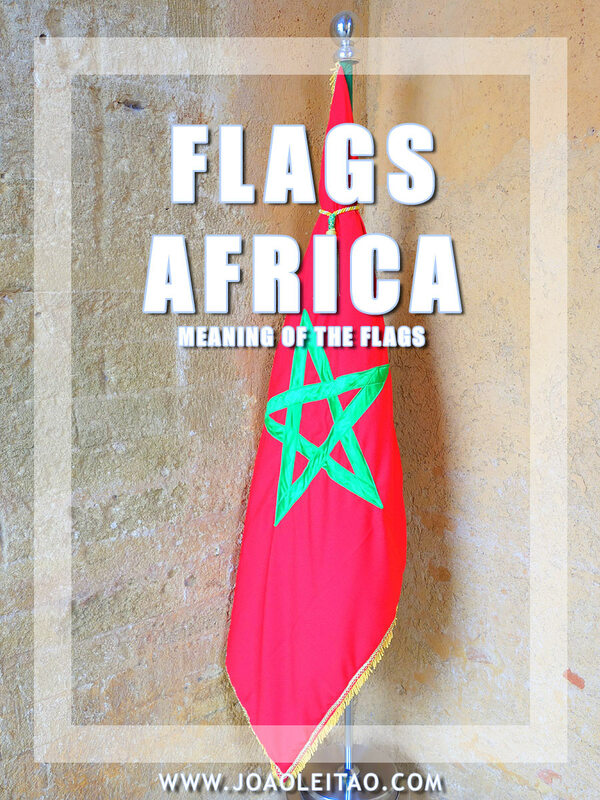 After being used for centuries, the flag was only made official by a royal decree in 1937, when the flag’s meaning was also defined. Meaning of the flag of Poland: White represents peace and morality; red symbolizes endurance, gallantry, vigor, and bravery. These colors were chosen after the coat of arms of Poland. 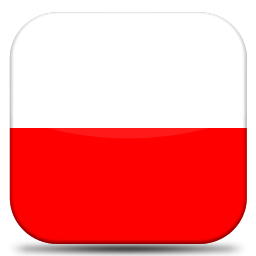 The flag of Poland is simple: two same-sized horizontal stripes, one white on top and one red on the bottom. It’s a simplification of the old symbol of Poland, that dates back to the medieval times, of a white eagle over a red background. The meaning of the colors can be loosely interpreted. Some say it represents an eagle flying over the sunset or it’s a symbol of the connection between the nationalist spirit and the blood shed when defending the country. In the communist era, the flag was interpreted as a symbol of the Polish people desire to live in peace and socialism. For many centuries, several versions of the flag were used in association with the idea of a Polish nation, almost always in white and red, and sometimes blue. The current flag’s design began to take shape in 1916, as protests for Poland’s independence grew. The country became independent in 1918, but the flag would only be officially adopted over one year later on 1 August 1919. Some superficial changes were made in 1980. 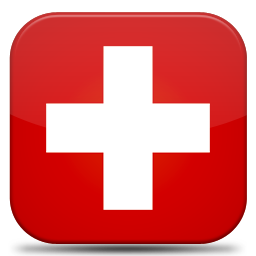 Meaning of the flag of Switzerland: The flag of Switzerland is based on the one of the Canton of Schwyz, one of the first three of this nation. The style was common in medieval times since it has a red square with a symmetric white cross in the center. 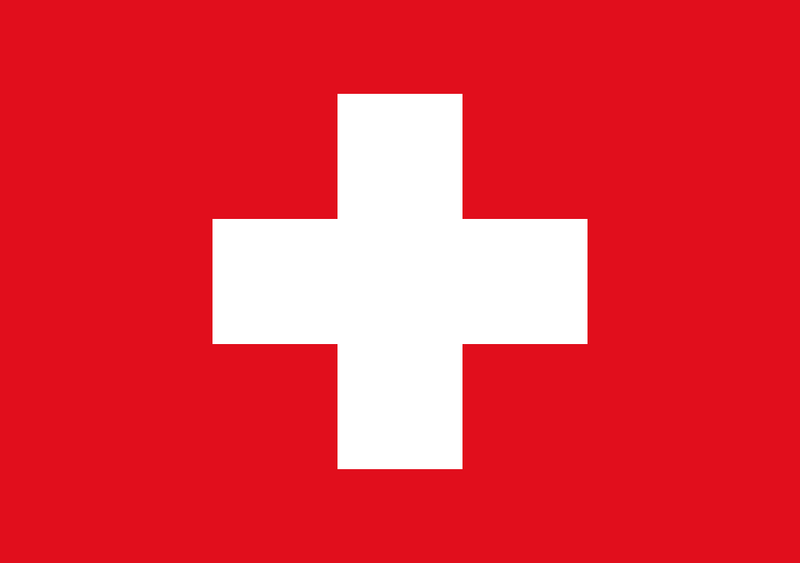 The Switzerland national flag represents freedom, honor, and fidelity. 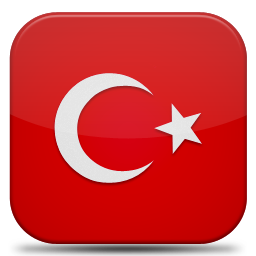 Meaning of the flag of Turkey: As mentioned in the Holy Koran, the star in the flag of Turkey symbolizes the Morning Star. Both the white crescent and the star are symbols of Islam. 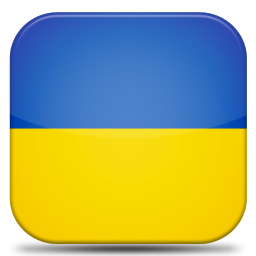 Meaning of the flag of Ukraine: Blue symbolizes the colors of the sky, streams, and mountains of Ukraine; yellow represents the abundant golden wheat fields of the country. Meaning of the flag of Latvia: White represents right and truth, the honor of free citizens and trustworthiness; burgundy is for the bloodshed in the past. 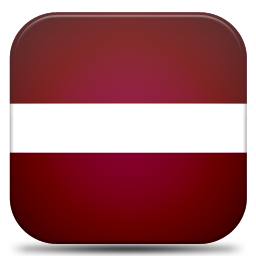 The Latvian flag has three horizontal stripes, the middle one is white, and the other two are the same color, a kind of crimson. The bands don’t have the same size: the white is much narrower. The primary color is usually associated with the Latvians willingness to shed their blood for freedom, while white represents justice, honor, and truth. According to a local legend, a Latvian warrior wounded in battle was wrapped in a white sheet, and his blood stained the cloth, thus creating the flag. A similar story with the Austrian flag. It’s one of the national flags that is part of that limited group of flags that date back to the Middle Ages. It’s been used in battles at least since 1273, as a collection of old chronicles, the Livländische Reimchronik, confirms. The current flag was based on that former flag, created in 1917 by Ansis Cīrulis and chosen to represent independent Latvia in 1921. While Latvia was a part of the Soviet Union, the traditional flag was banned and only returned after the independence in 1991. 3 colors: yellow, green, red. Meaning of the flag of Lithuania: Yellow represents the country’s wheat fields; green stands for forests; red symbolizes the patriotic spirit. Put together, they represent hope for the future, freedom from oppression and the fearless courage of the Lithuanian people. The flag of Lithuania has three colors, in three horizontal stripes: yellow on top, green in the middle, and red on the bottom. This was the first flag of independent Lithuania, between 1919 and 1940, and once again in the early 1990s when the country left the Soviet Union. The colors represent the country’s nature: yellow represents the sun and the vast corn fields, and prosperity, green represents the forests and the meadows, and hope and freedom, and red represents the blood shed by Lithuanians fighting for independence and freedom. The historical origin of the current flag is uncertain, but it seems to have been an idea from exiled Lithuanians, who lived in Europe and the USA in the 19th century. The colors are frequent in embroidery patterns and traditional clothes, so it was a natural choice. Young Lithuanians especially are critical of this color choice, claiming they’re more representative of African countries than European ones. Meaning of the flag of Denmark: Red represents the courage, boldness, and strength of the people to protect the Kingdom from foreign invasions. The white cross stands for Christianity and is common to the Nordic countries of Sweden, Norway, Finland, Iceland and the Faroe Islands. 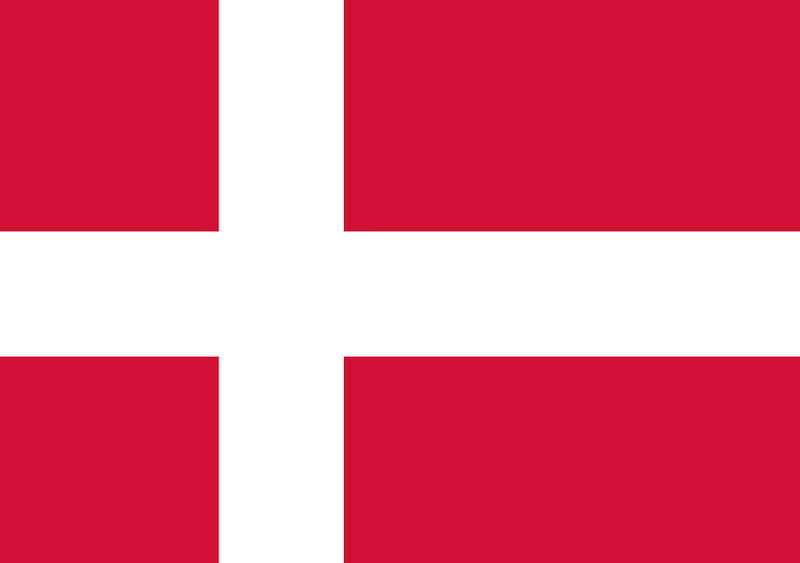 The flag of Denmark is called Dannebrog in Danish, and it’s completely red with a white asymmetrical cross, the same style you’ll find throughout the Scandinavian flags. According to a legend, the flag was sent by God to help the Danish on 15 June 1219 during the Battle of Lindanisa. Estonian pagans were winning, but when the divine flag came into the picture, the Danish warriors felt revived and won the battle. Although the Danish kings have used the flag since the 14th century, it was most commonly used on ships until the early 1800s when it became the flag of the country. First, it was introduced in all military units in 1842. From then, its use was widespread and allowed to everyone. According to the Guinness Book of Records, it’s the national flag that’s been in use for the longest, with the first reference in a document from 1370-1386. 3 colors: blue, black, white. Meaning of the flag of Estonia: Blue represents the clear blue skies and the large country’s coast, as well as the hope and aspirations of the people; black stands for the dark past of suffering of the people and the traditional black jacket worn by the peasants of the country; white represents the wish for unity, solidarity, enlightenment and the noble qualities of freedom and commitment to work. The flag of Estonia is simple with three horizontal stripes, light blue on top, black in the middle, and white in the bottom. It first appeared in the streets of Otepää in 1881, during the students’ movement known as Vironia. It was a national flag during the country’s first period of independence, from 1918 to 1940, and it became a national flag again after the collapse of the Soviet Union and the reinstatement of Estonia’s independence. As with many other flags, the meaning of the colors of this national flag can be loosely interpreted. The blue might represent the sky, the lakes, and the sea so close to Estonia, or it could also mean honesty, while the black represents the tribulations of the Estonians and the traditional clothes worn by local farms. The white represents the snow covering the country for a large part of the year and the Estonians’ desire for national independence. Poet Martin Lipp expressed an equally valid interpretation on his poem “The Estonian Flag,” which together with music composed by Enn Võrk became the non-official national anthem of Estonia. In that poem, the blue is associated with the sky, the black with the Estonians’ appreciation for their land and their dark fate, and the white with purity and hard work. In recent years and the beginning of Estonia as a nation, there have been mentions of adopting a new flag with the same colors but a Nordic style, with the same asymmetrical cross we see on the flags of Norway or Iceland. Meaning of the flag of Finland: White represents the snow in Finland, also present in the summer; blue stands for the lakes and skies. 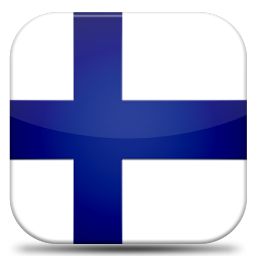 The flag of Finland is known by the Finnish as Siniristilippu which means the blue cross. 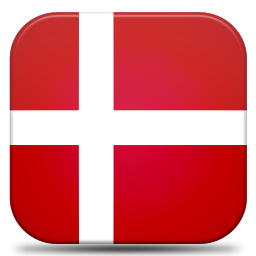 As with all flags in the Nordic countries, this one is also inspired by the Danish flag. It has a white background with a blue cross, slightly thicker than the ones on other Scandinavian flags. 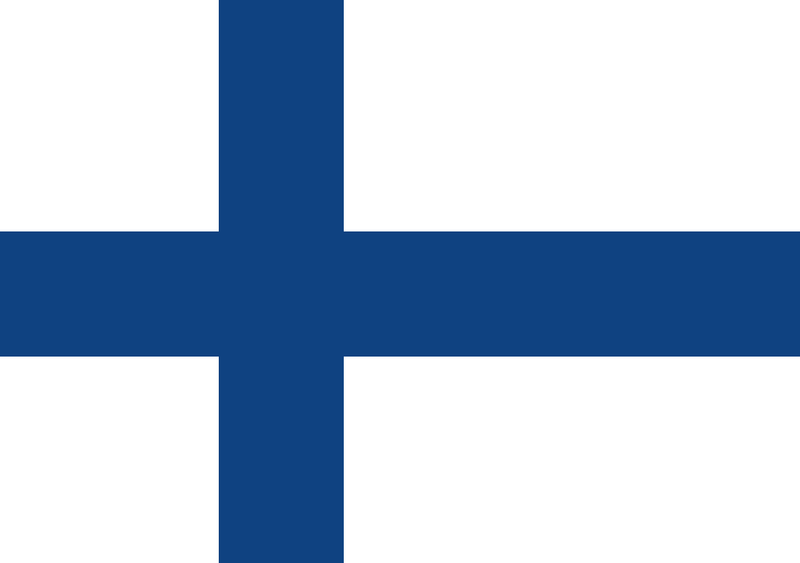 The blue represents the water in the countless lakes in Finland and the white, which was already there in the first national flag, represents the snow that covers the country for many months. The current flag design might have its roots in the Russian Navy flag that inspired the St. Petersburg Yacht Club, which then inspired a Yacht Club in Helsinki called Nyländska Jaktklubben. Whatever the origin story, the national flag adopted in 1918, one year after the country’s independence, was the winner of a competition with four other applications. Artists Eero Snellman and Bruno Tuukkanen were the creators. The official state flag has the national coat of arms on the intersection of both lines of the cross. Meaning of the flag of Iceland: All the colors of the flag of Iceland symbolize the nation’s geography. 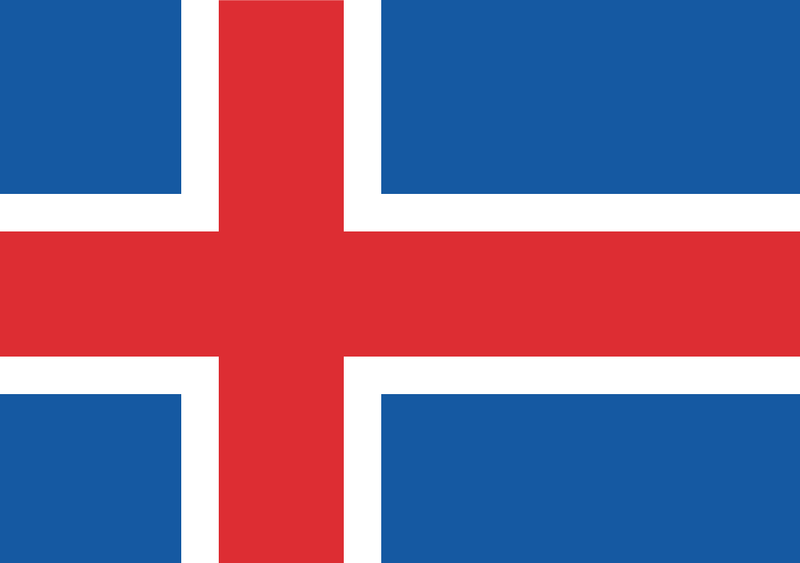 Blue stands for the Atlantic Ocean which surrounds the country; red represents the fires of the country’s volcanoes; white depicts the snow that covers a large part of Iceland. The flag of Iceland follows the same design as all other Scandinavian countries, with an asymmetrical cross laid over one single color. The background is blue and the cross is red with a white border separating the red from the blue. 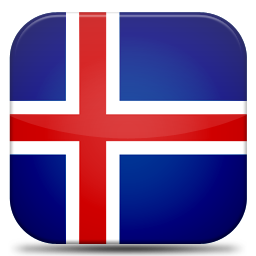 The colors represent Iceland’s nature: the blue represents the ocean, the red represents the volcanoes and lava fields, and the white represents the snow, glaciers, and geysers. The red might also represent the historical bonds with Denmark. This flag appeared in 1915 and began to be used in 1918 after Iceland became an autonomous territory at the end of World War I. The flag was only official in 1944 when the independence was legally recognized. 3 colors: green, white, orange. Meaning of the flag of Ireland: Green symbolizes the native people of Ireland, the Friendly Brothers of St. Patrick, as well as the Society of United Irishmen, a Republican organization during the 1790s; orange represents the supporters of the House of Orange, the settlers in the seventeenth century; white between the other two colors depicts peace among the two sides, reflecting Irish independence and the union of the people of Ireland. 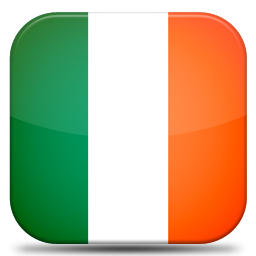 The flag of Ireland has a typical three-color design, with three equally sized vertical stripes. The one on the right is green, the one in the middle is white, and the one on the left is orange. The meaning of each color is fascinating. The green represents Ireland’s old name, “the emerald isle,” and the country’s Catholic community. The white, effectively placed in the middle, represents the need to unite both religious communities in Ireland and live in peace. The orange represents the Protestant community, in the same color as the House of Orange-Nassau. This flag appeared in 1848, by the hand of the Young Irelanders, who challenged the English ruling over the island. A group of French women gifted the flag to their leader, Thomas Francis Meagher. It became more popular with the Irish nationalists when the Republic of Ireland became independent in 1916. 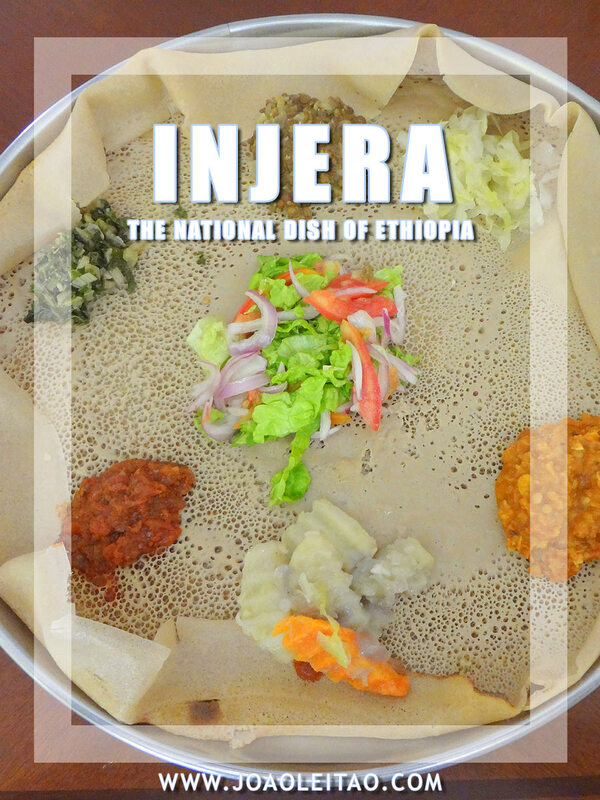 It was approved in 1920 as the national flag of the new country. Meaning of the flag of Sweden: Blue symbolizes truth, loyalty, and justice; yellow stands for generosity. The Swedish cross is probably a reference to king Eric the Holy, who saw the gold cross in the sky. Its appearance in the flag expresses the religious history of the nation and its early leaders. 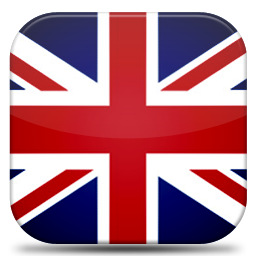 Meaning of the flag of the United Kingdom: Each of the crosses in the flag called the Union Jack to represent a country of the United Kingdom. The red horizontal and vertical lines are used in England’s flag to represent its patron Saint George’s cross. Ireland’s patron, Saint Patrick is represented in the red X stretching from corner to corner. Scotland is represented by the cross of Saint Andrew, a white X on a blue background. Wales shows up in the flag under England’s cross because it was part of the Kingdom of England. Meaning of the flag of Norway: The red, white and blue colors may represent freedom like in the flags of France, the Netherlands, the USA, and the UK. The Scandinavian Cross is common to the other Nordic nations such as Denmark, Sweden, Iceland, and Finland. 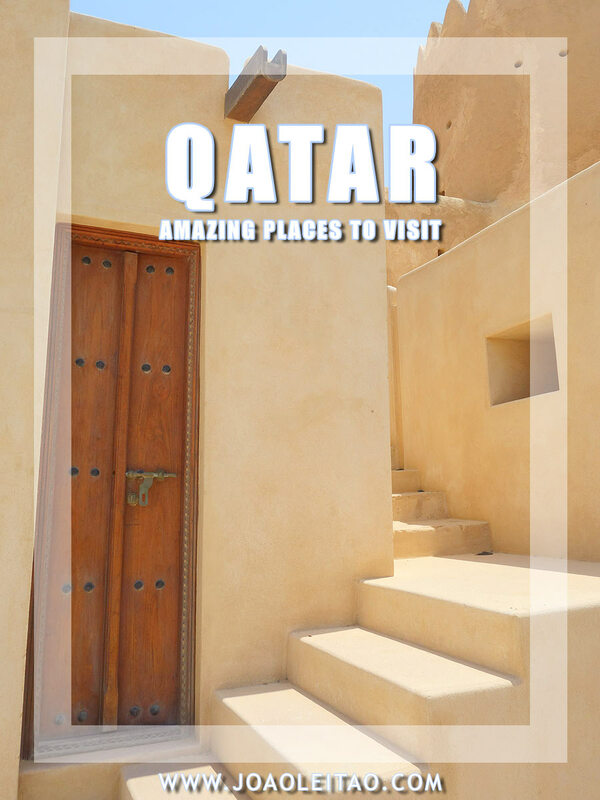 It symbolizes these nations’ shared history and Christianity. 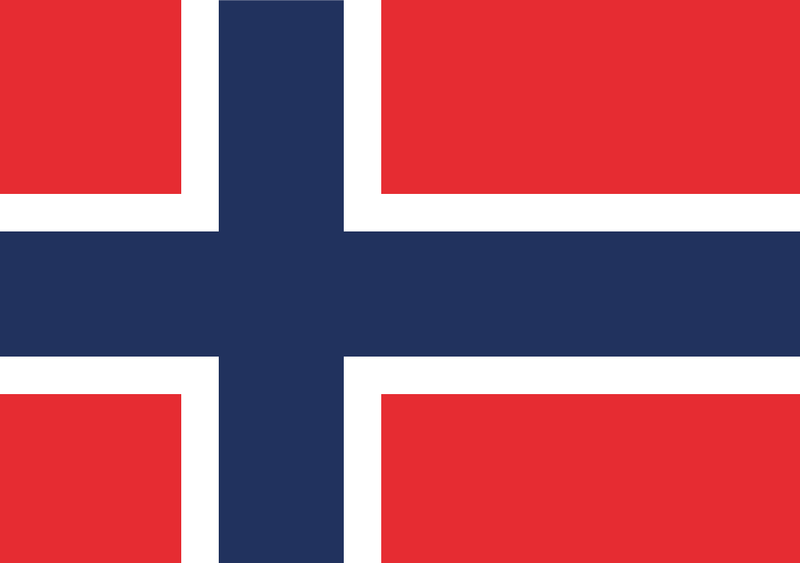 As a Scandinavian country, Norway has a flag with a similar design of neighboring countries: an asymmetrical cross, closer to the left side, over a single color. 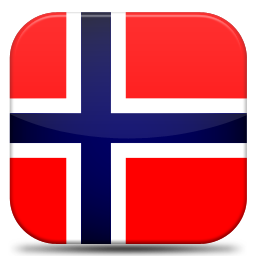 The flag of Norway is red with a blue cross with a white border. The Danish flag called Dannebrog inspired this type of banners and the red of the Norwegian flag is a reference to the historical bonds between both countries. The color of the cross represents the cultural, historical, political, and geographical proximity to Sweden. Some claim those colors that coincidently are the same as the famous French flag ones were chosen as a secret aspiration to independence, that only came at the beginning of the 20th century. The current flag of Norway was created in 1821 by Frederick Meltzer but was only officially adopted over half a century later, in 1898. 3 colors: red, green, gold. Meaning of the flag of Transnistria / Pridnestrovia: The hammer and sickle represent peaceful labor and international proletarian unity. These objects are pan-communist symbols. The star and the red color are symbols of communism and socialism.